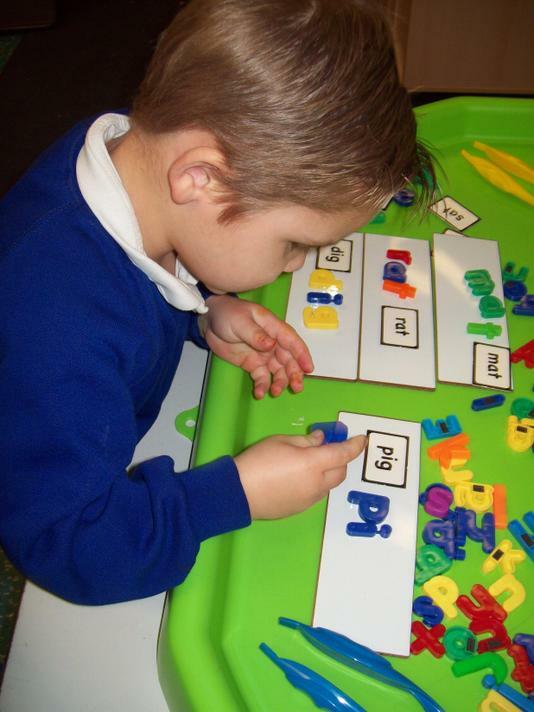 In English this term we have continued with our daily phonics sessions. 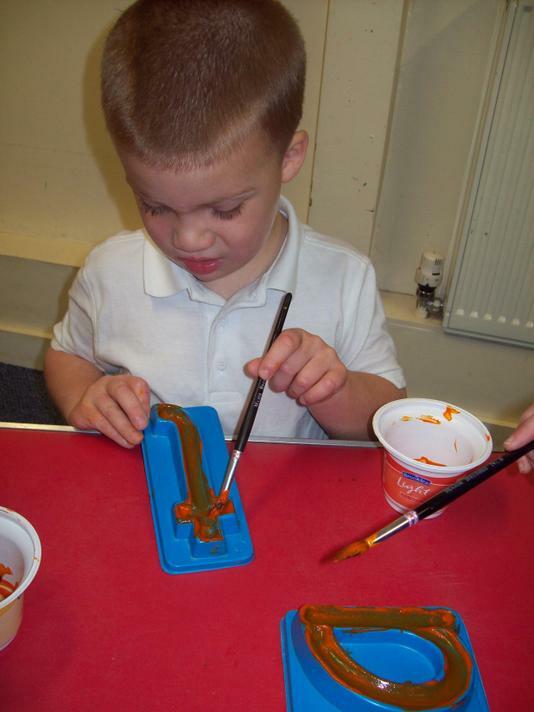 These sessions are a mixture of practical and written activities and everyone ha made impressive progress. 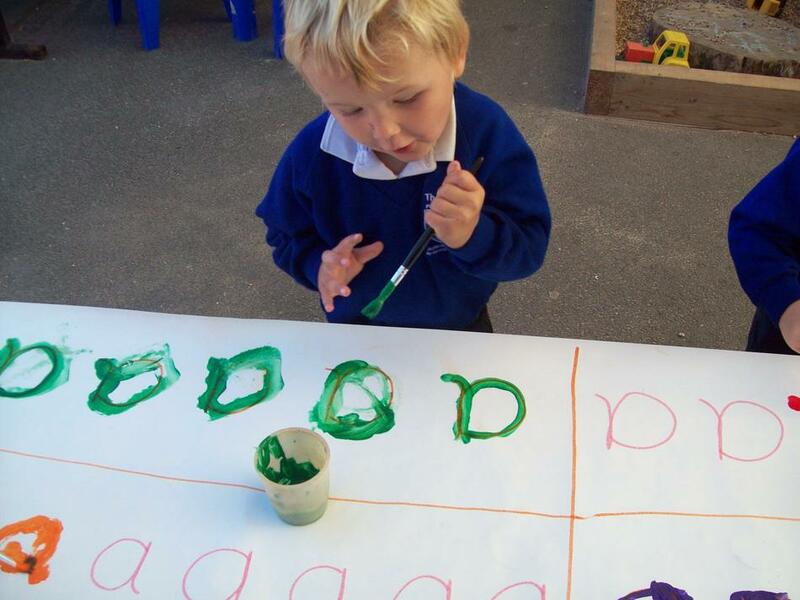 The children are becoming independent writers and it's great that they produce posters for missing toys and leave notes for friends around the classroom. 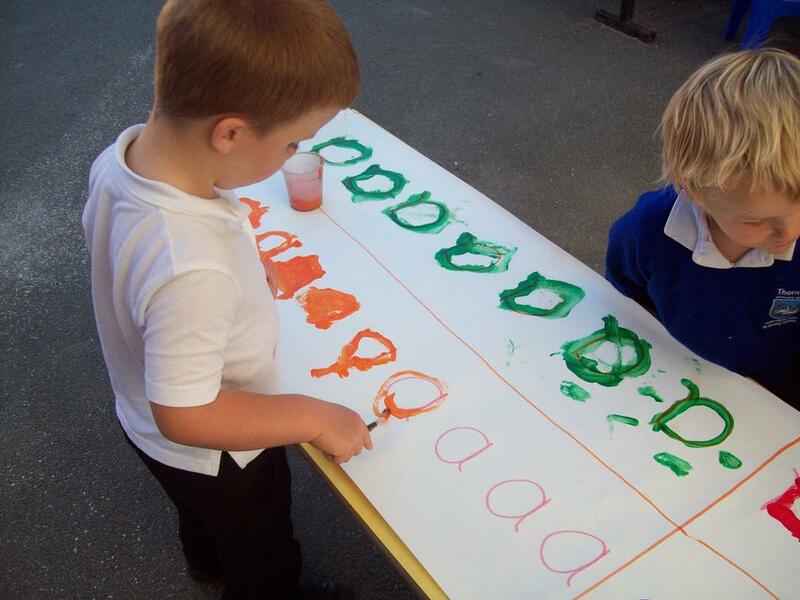 We have worked hard on correct letter formation and we can now see the benefit of this in the children's written work. 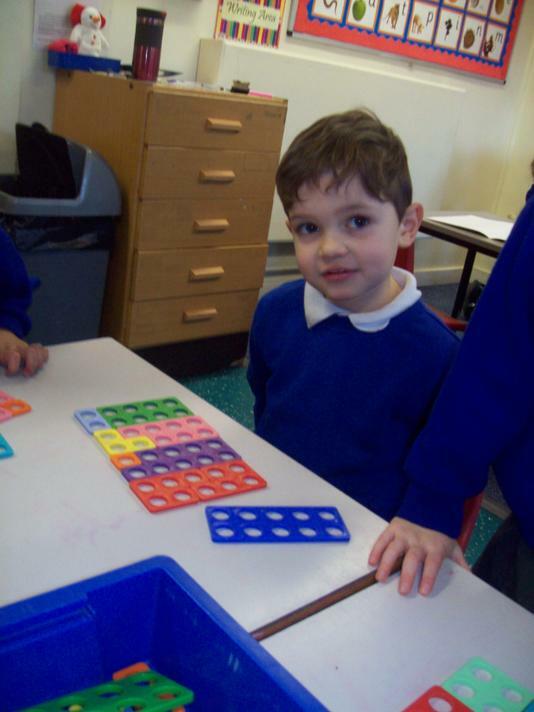 In Maths the children have begun to use the vocabulary related to addition and subtraction and record using marks they can interpret and explain. 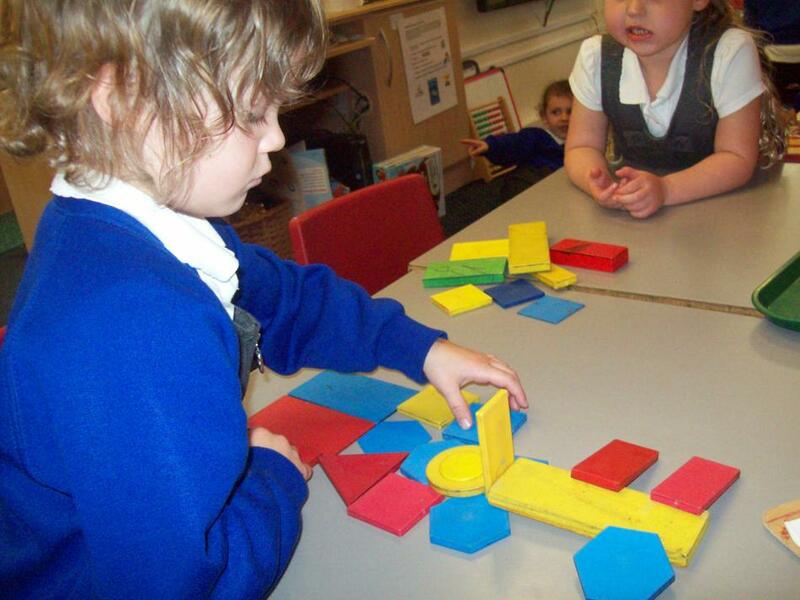 We have explored 2D and 3D shapes and used mathematical terms to describe them. 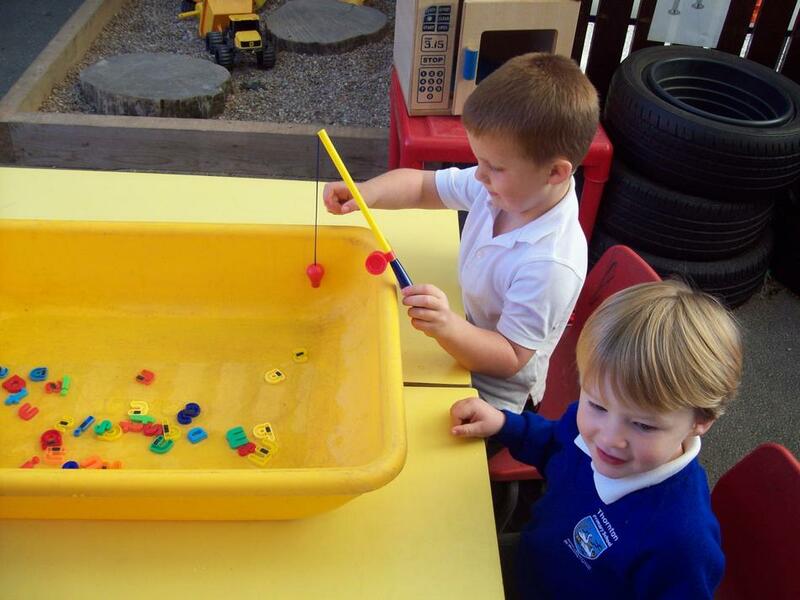 We had fun measuring the capacity of containers and used language such as overflowing, nearly full, half full, and empty. 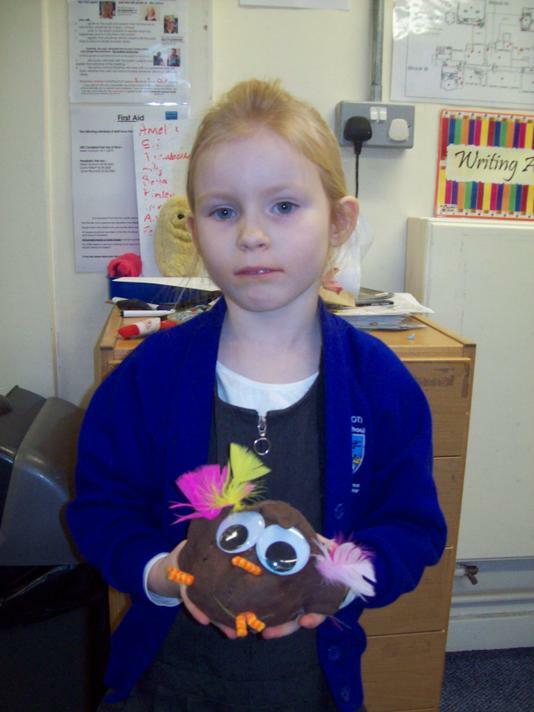 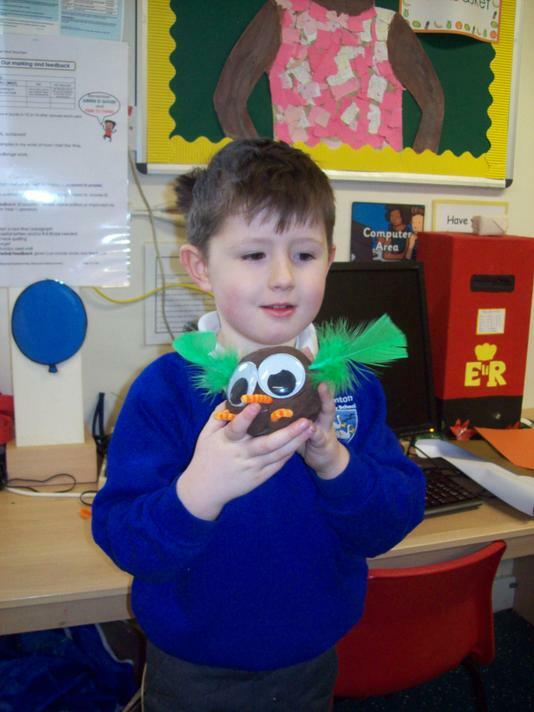 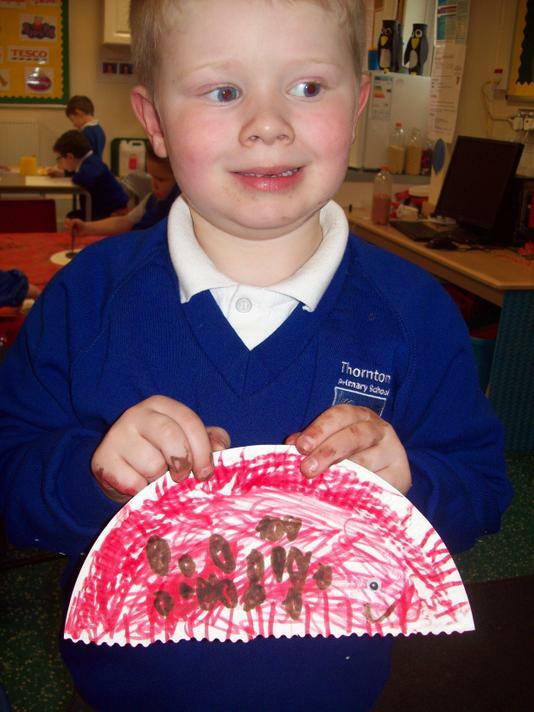 Our topic work has been based around animals and where they live. 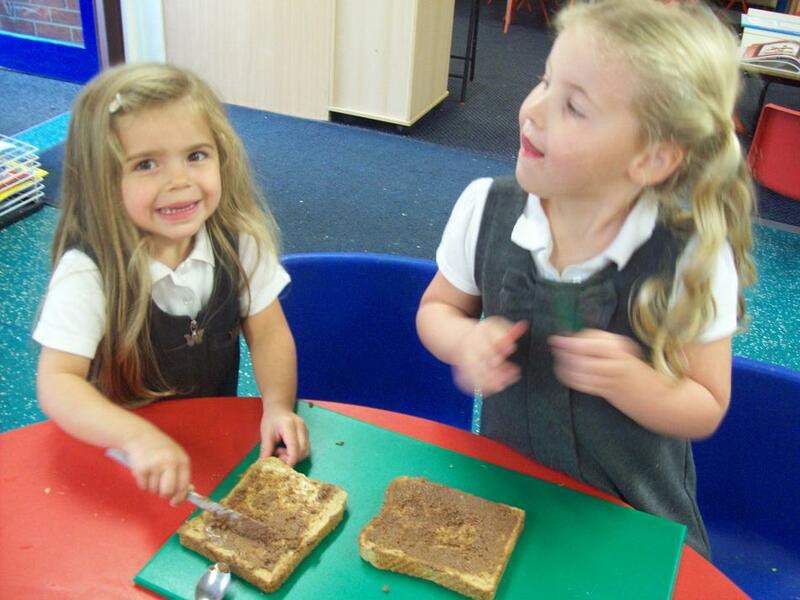 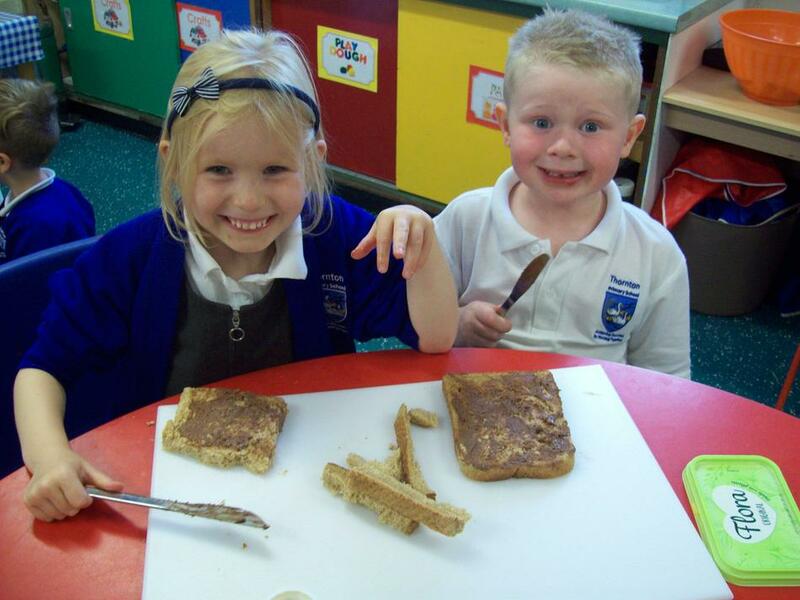 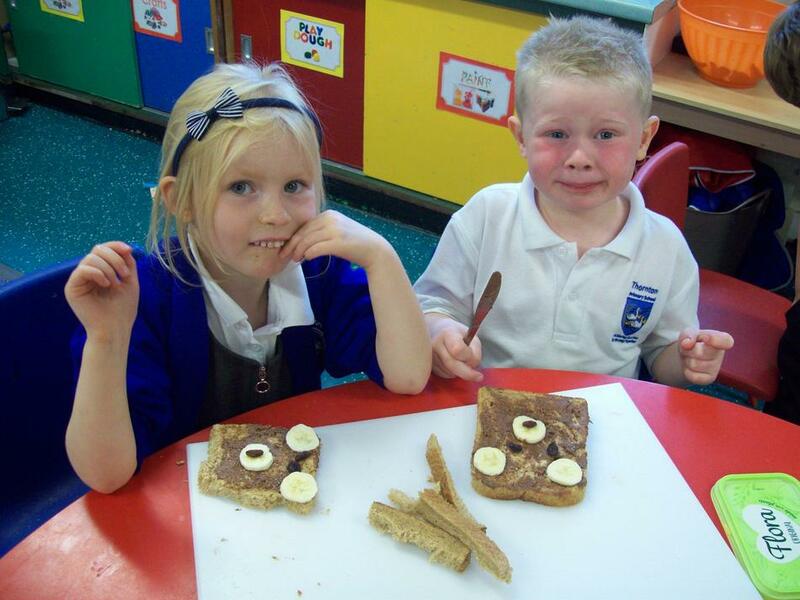 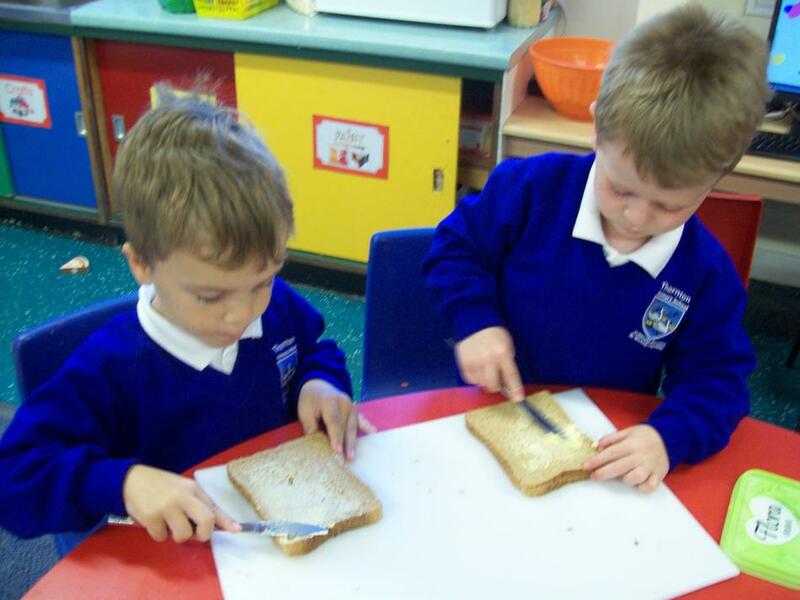 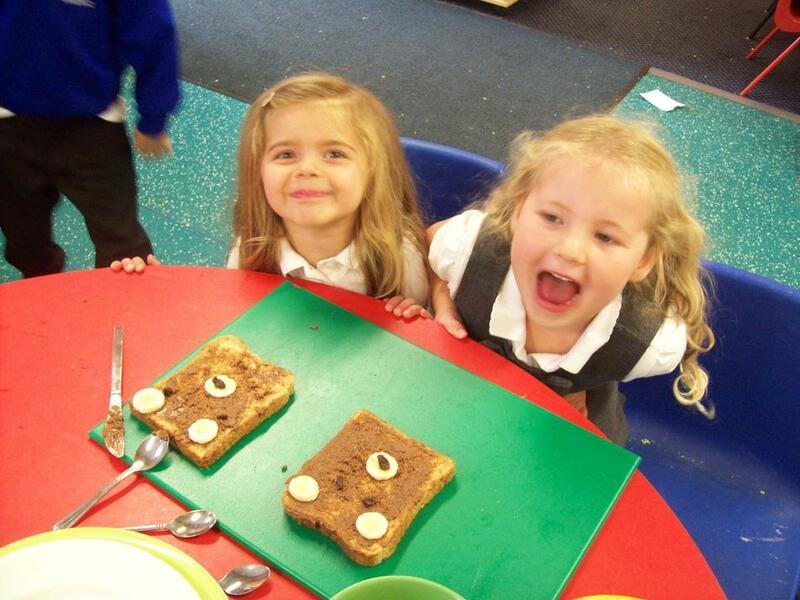 We discovered what animals produce milk, meat, honey and wool and enjoyed tasting a variety of sandwiches. 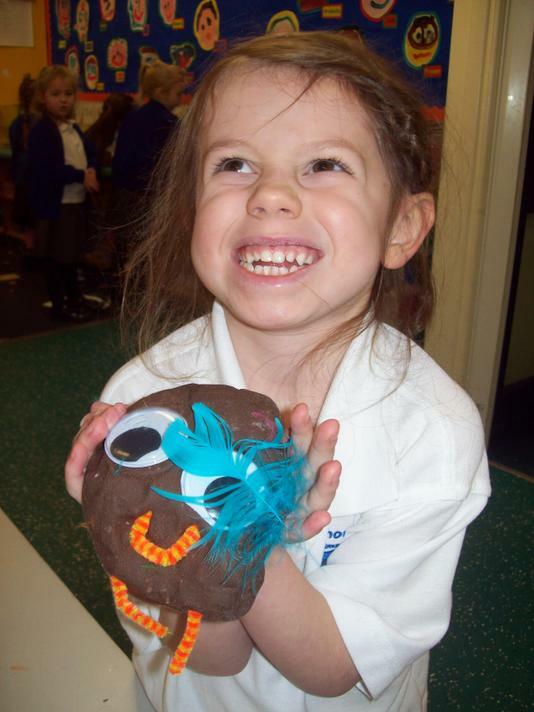 Whatever we believe, there is no doubt that sharing stories with children certainly boosts their imagination and provides links to so many areas of the curriculum. 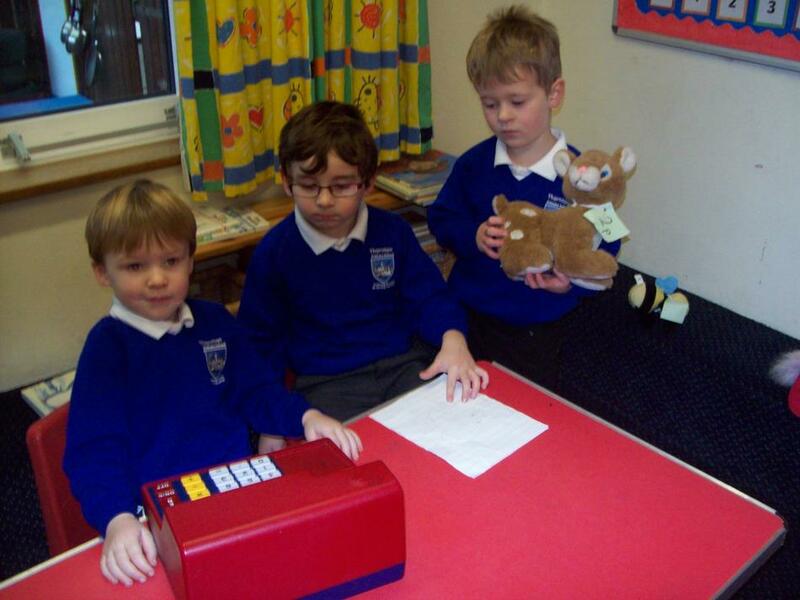 This half-term we have shared the adventures of many characters, both good and bad. 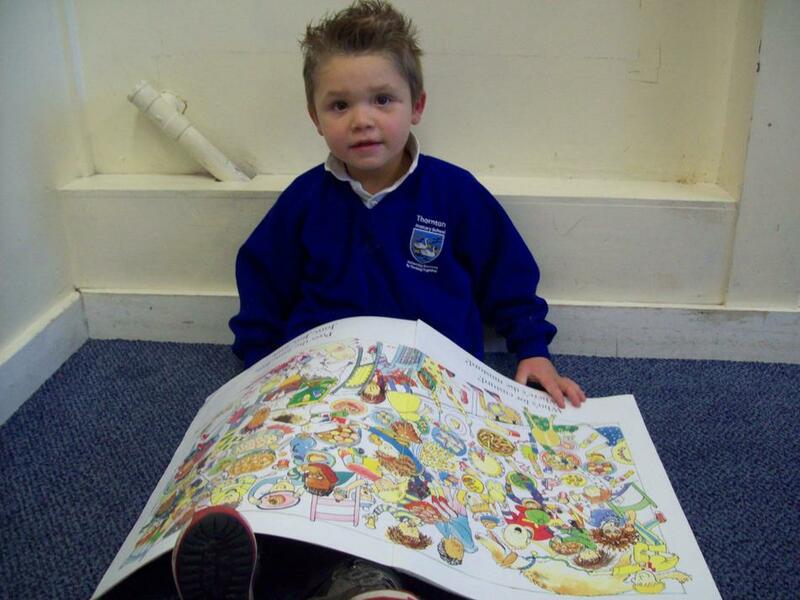 Stories such as, Goldilocks, Red Riding Hood, The Gingerbread Man and The Three Billy Goats Gruff have given us the opportunity to look at different settings, characters and plots. 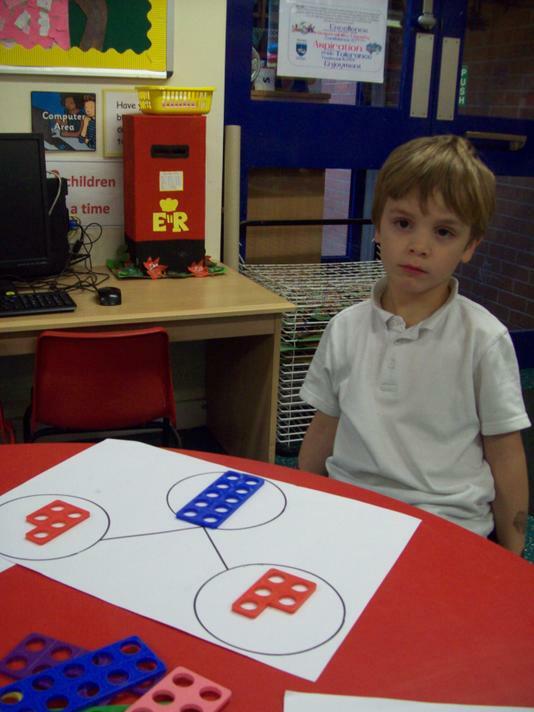 We have also used these stories to reinforce the understanding of right and wrong and the significance of the decisions we make. 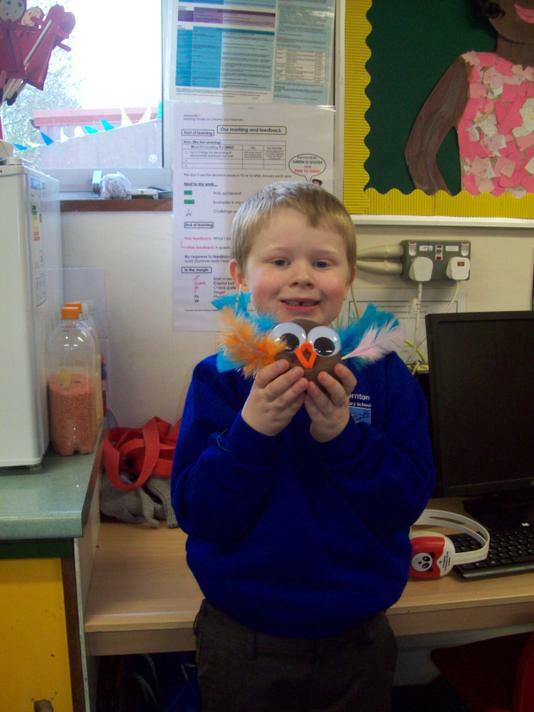 Creativity has also been enhanced through baking, making puppets, constructing bridges and castles, mask making and creating posters. 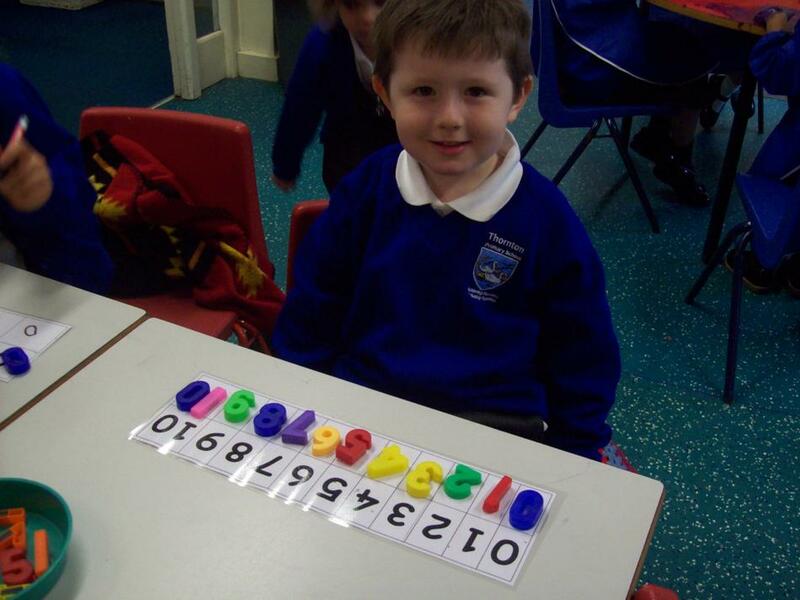 In Maths we have been developing a better understanding of place value. 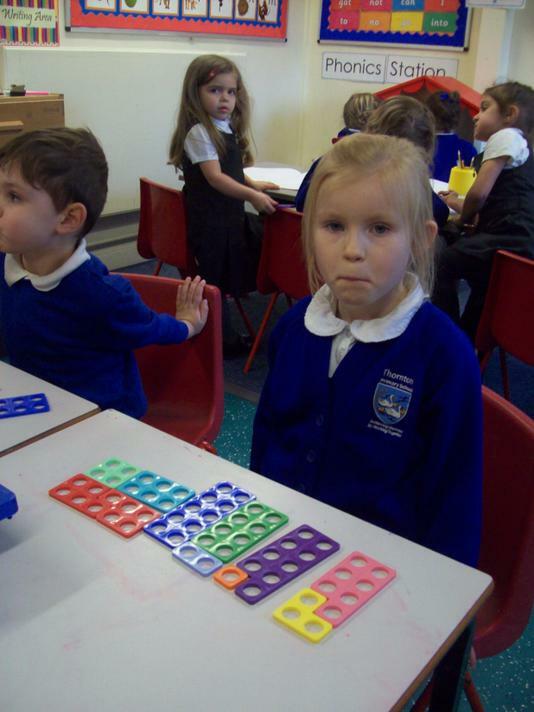 Through practical activities and games we have been learning to identify missing numbers and find one more and one less than a given number. 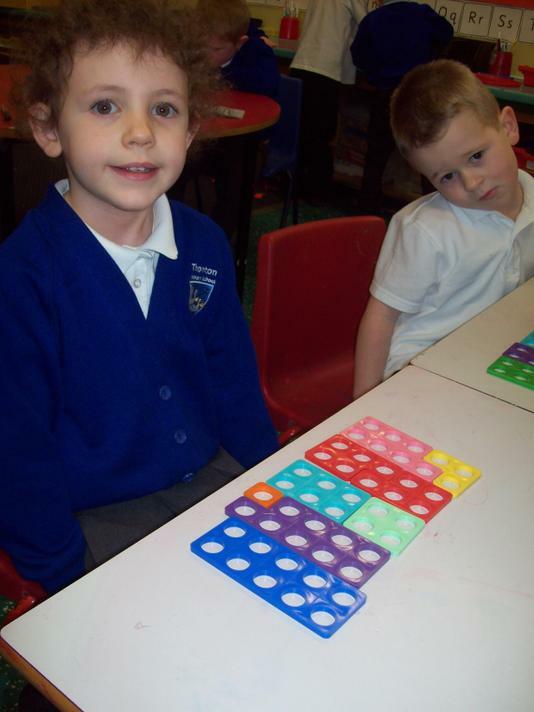 We have explored estimation and made 'good guesses' of how many items there are in a group without counting all of them. 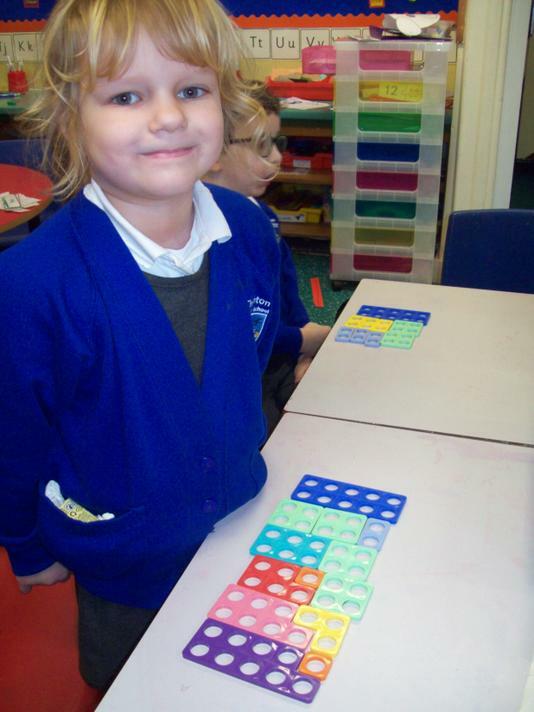 Some children were even better at this than Mrs Durham. 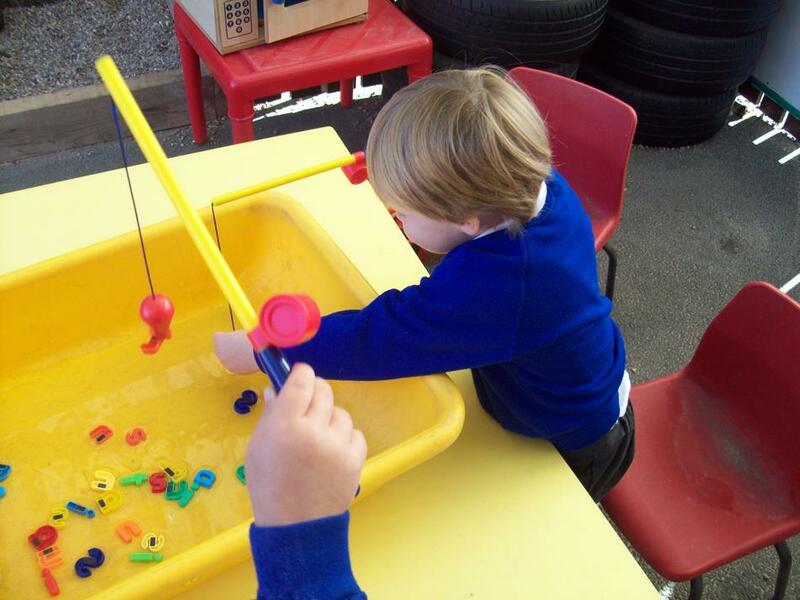 In January we had a cold spell both indoors and outdoors. 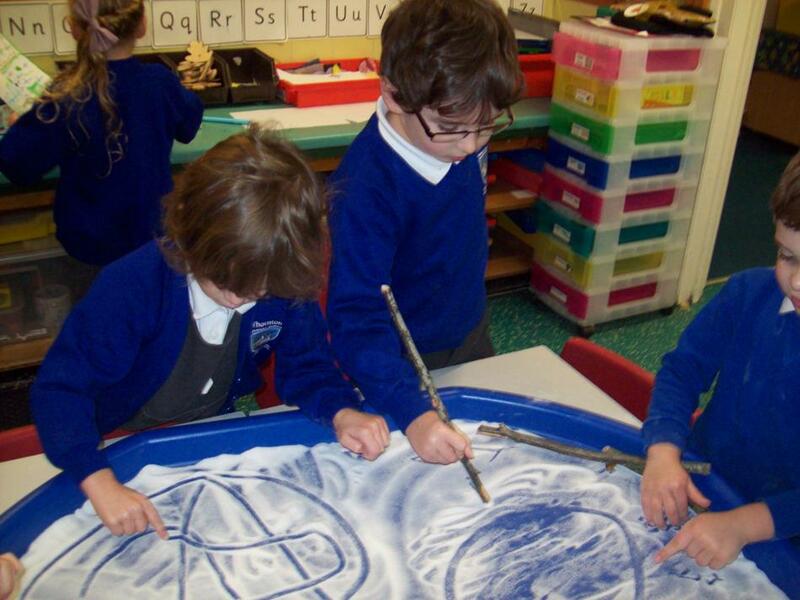 In the classroom we had an arctic theme. 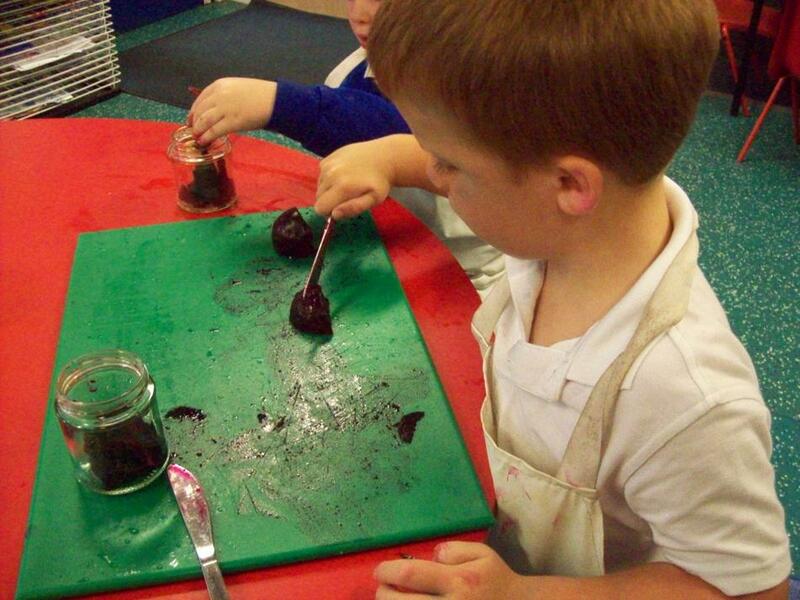 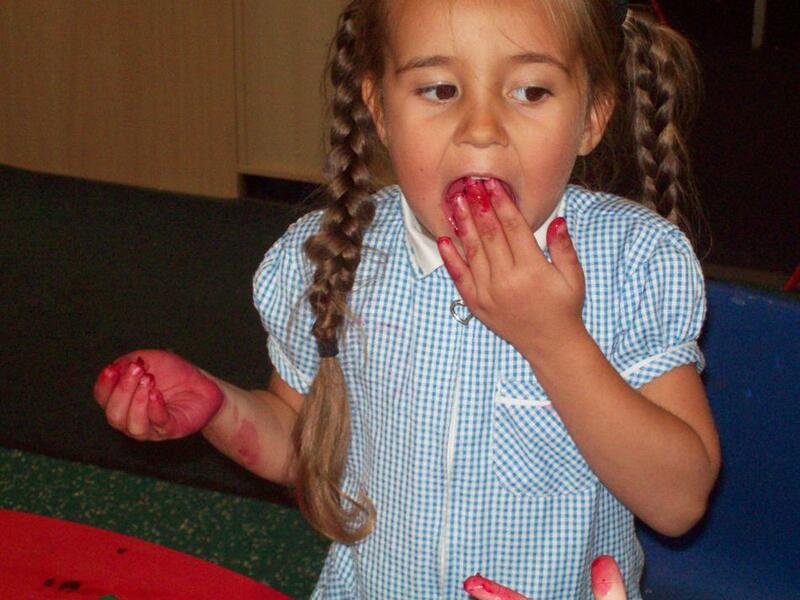 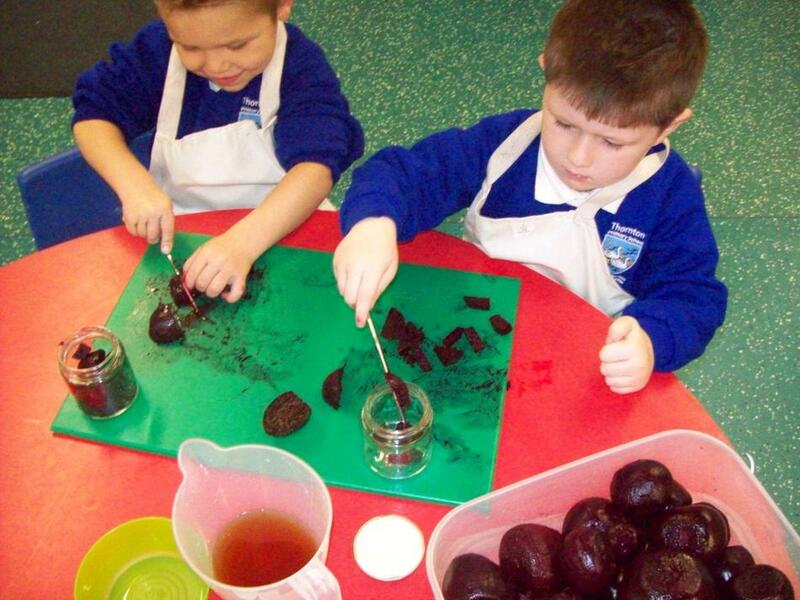 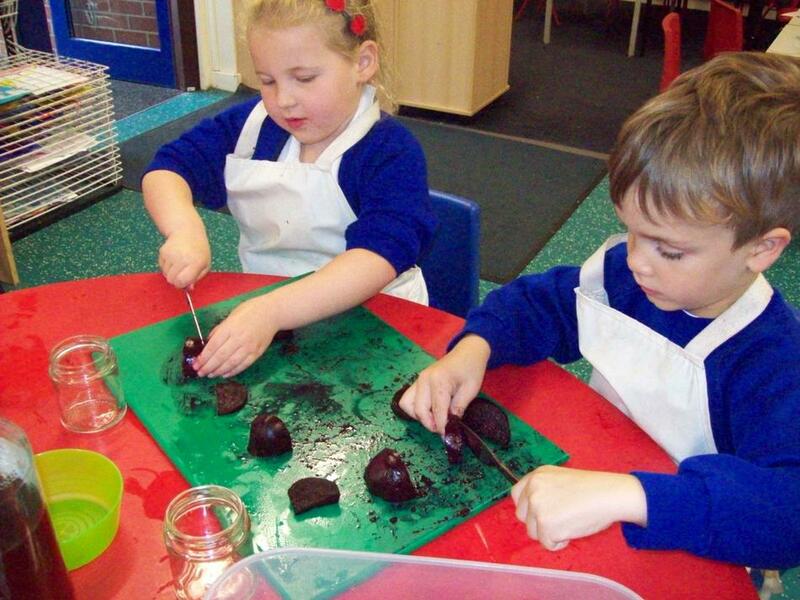 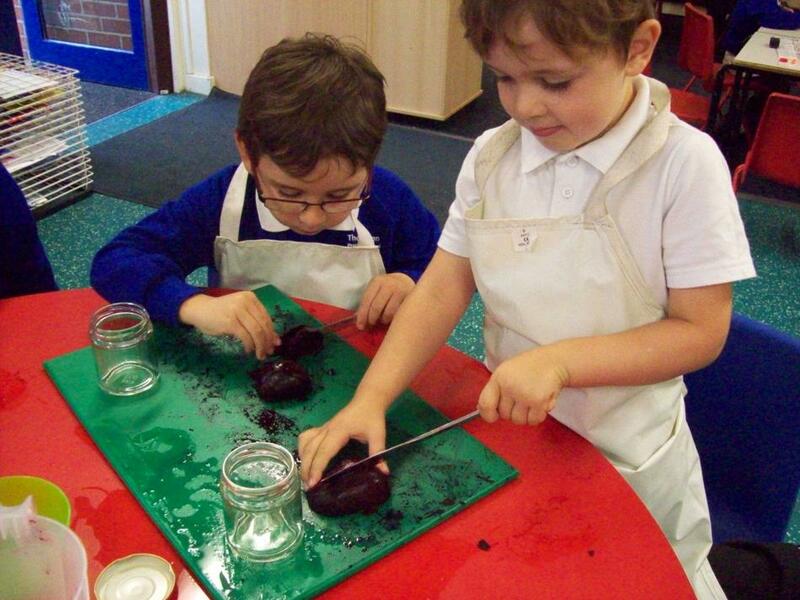 We investigated freezing and melting, experimenting with ice, chocolate and jelly. 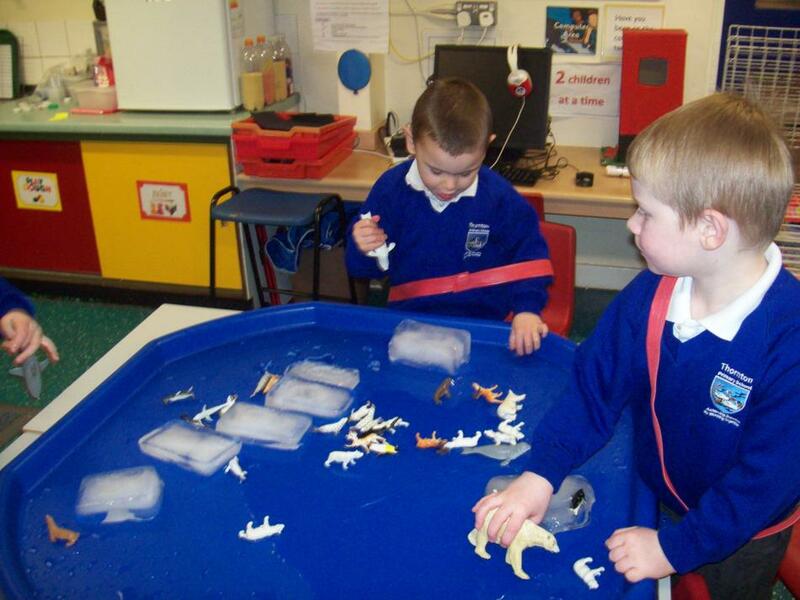 The children thought about ways to keep warm and also how we could contribute to the well being of the animals in our environment. 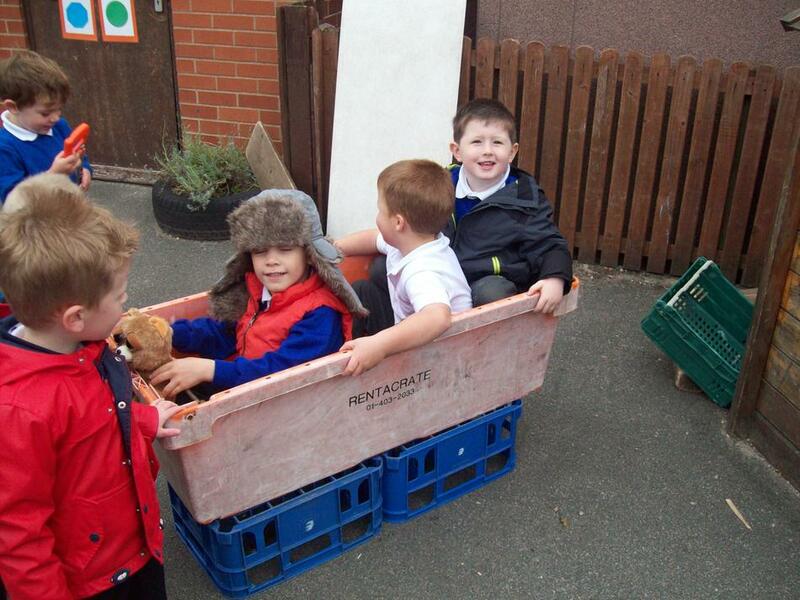 We have packed lots of learning into a short space of time. 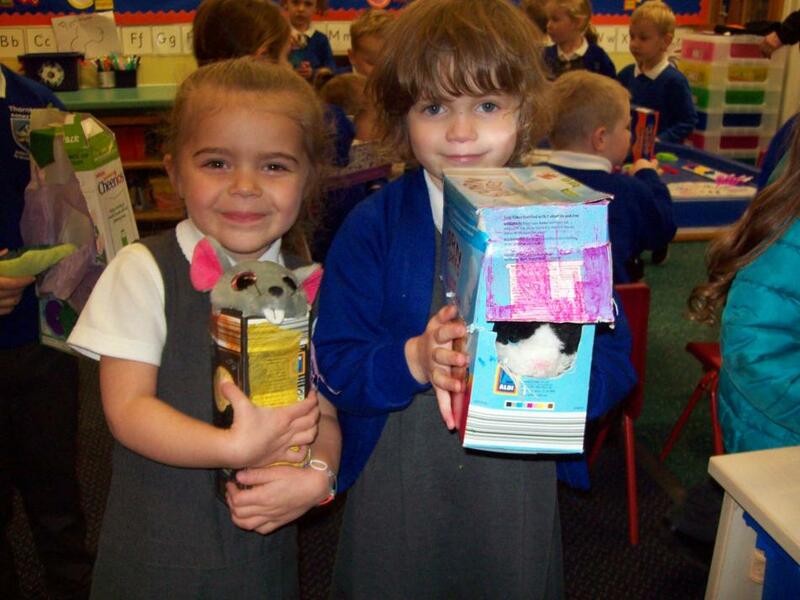 We are looking forward to our next topic, "All Creatures Great and Small." 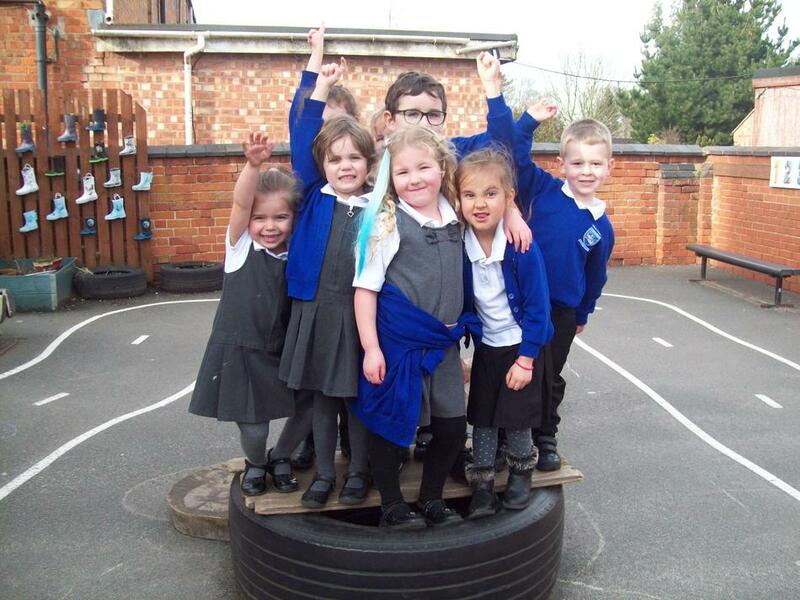 It’s hard to believe that we are already at the end of the Autumn term. 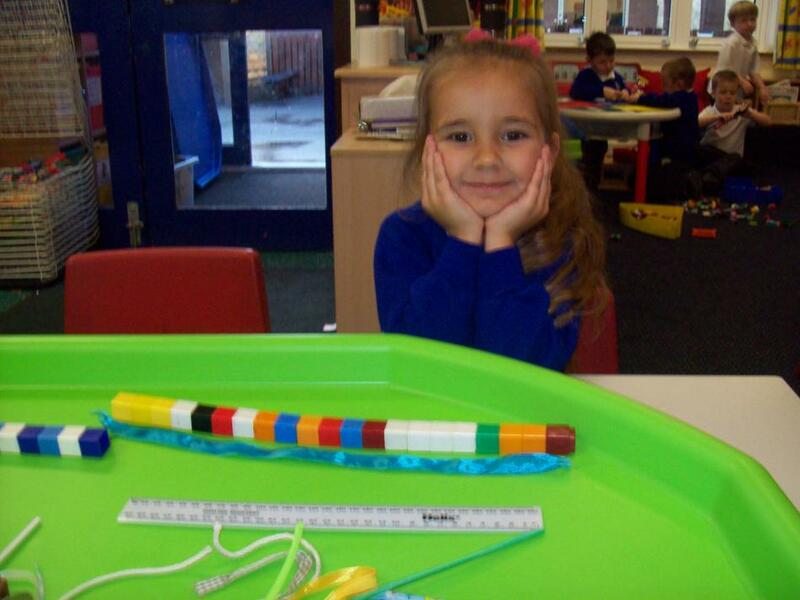 The children still seem more than happy to attend school and spend time sharing experiences with their peers and the grown ups! 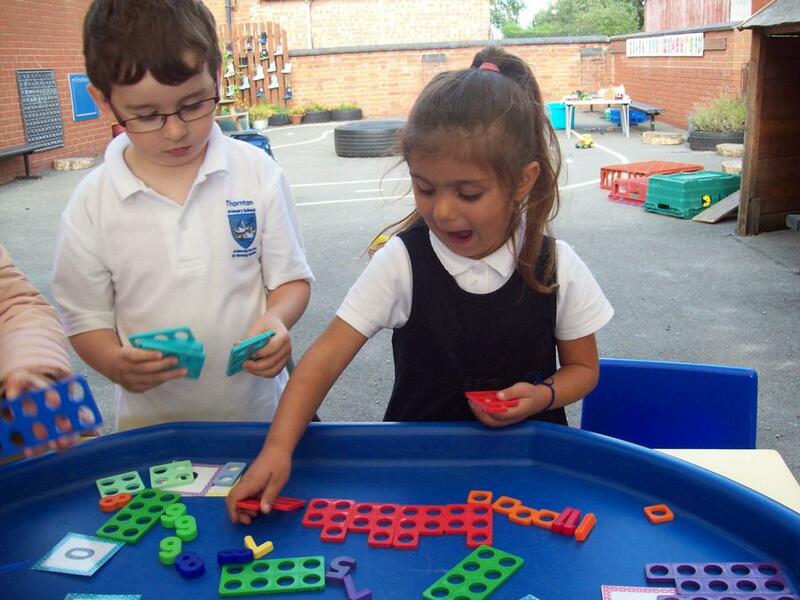 Our daily phonics sessions are quite intense but lots of fun too. 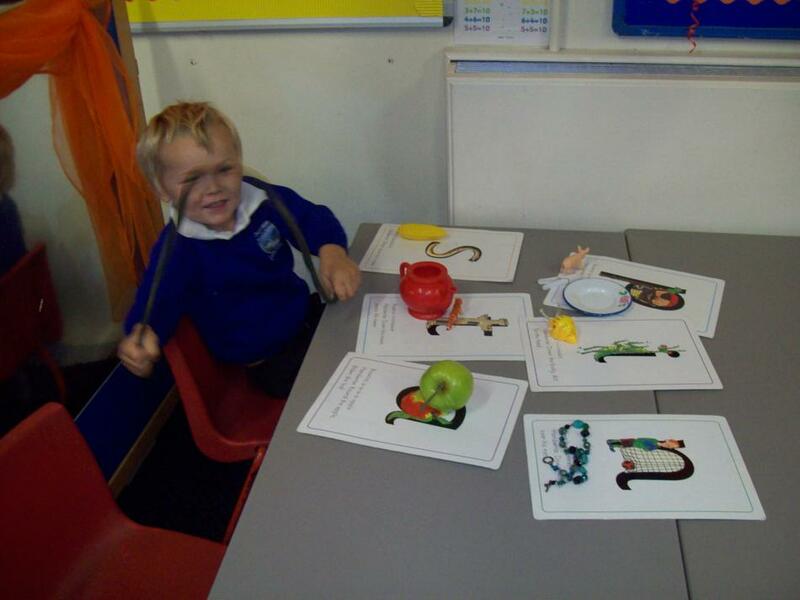 We have been learning new phonemes, letter formation and how to blend for reading and segment for spelling. 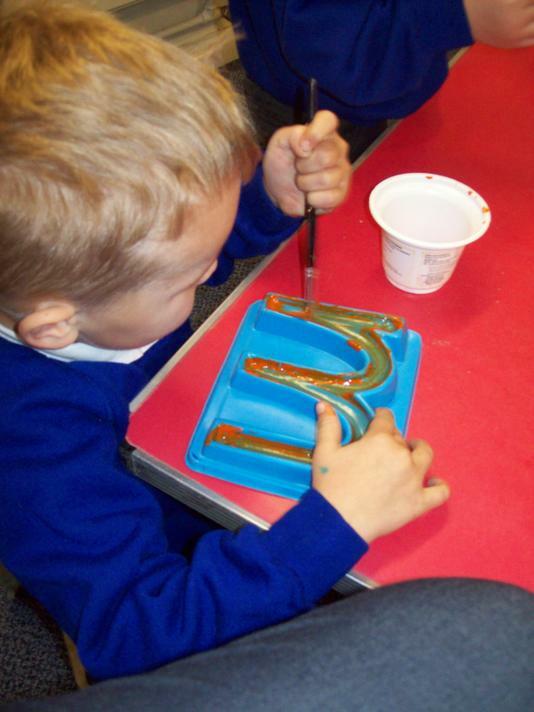 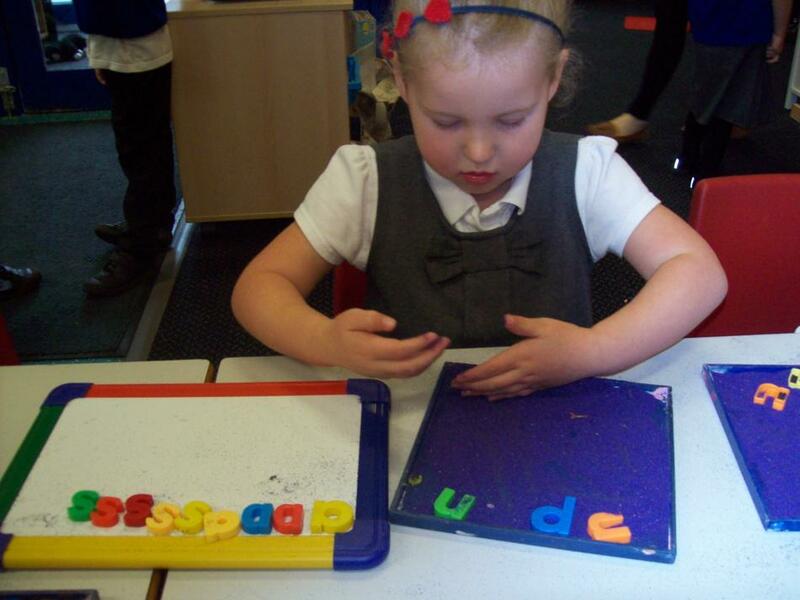 Progress is rapid and we are now working within Phase Three of Letters and Sound. 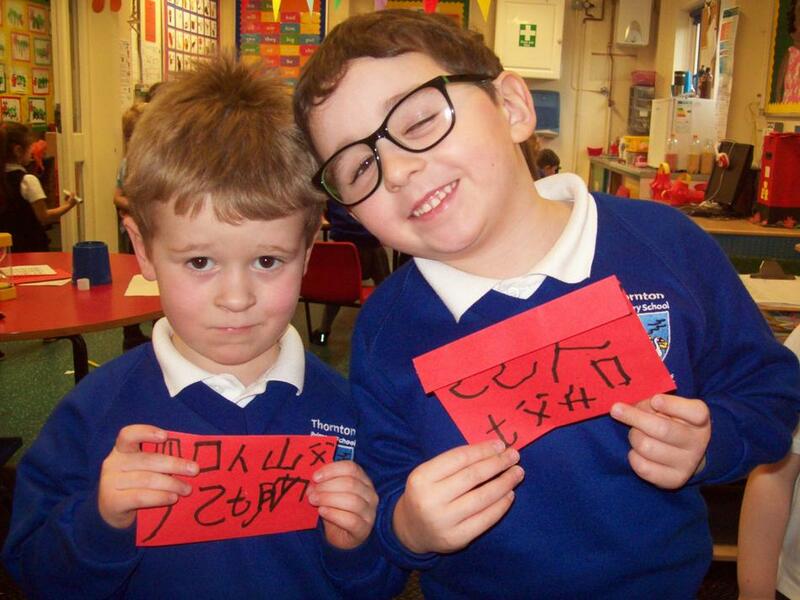 The children are beginning to apply their knowledge to read and spell two syllable words and captions independently. 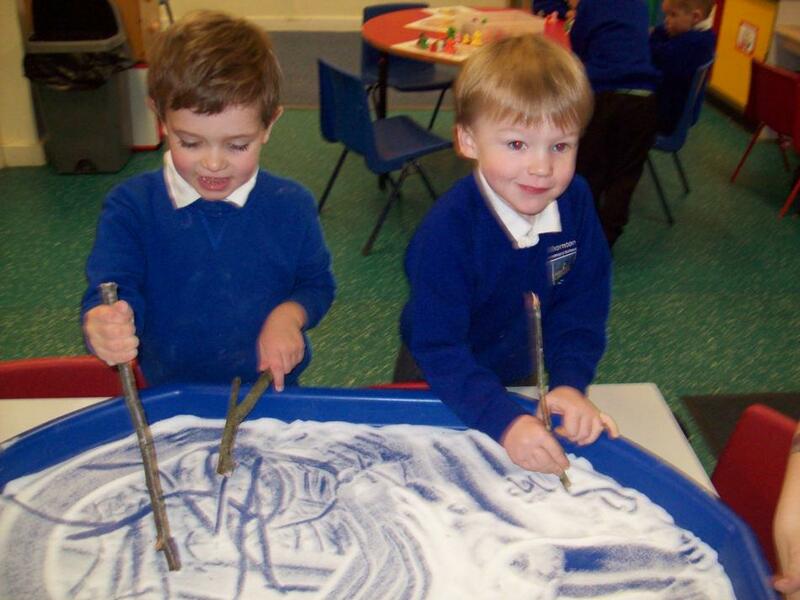 They are now writing for a purpose and enjoyment which is always a pleasure to see. 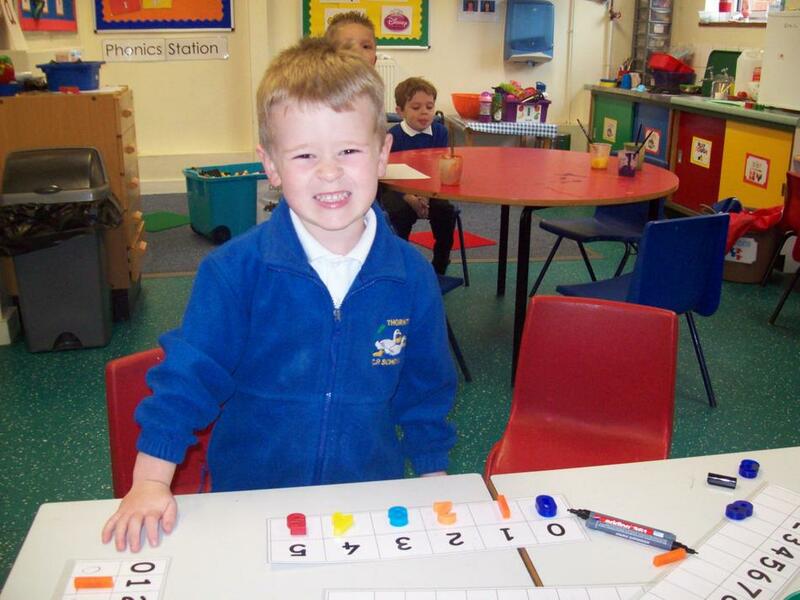 In Maths we have covered a range of areas including number recognition, place value, shape and pattern, measures, time and money. 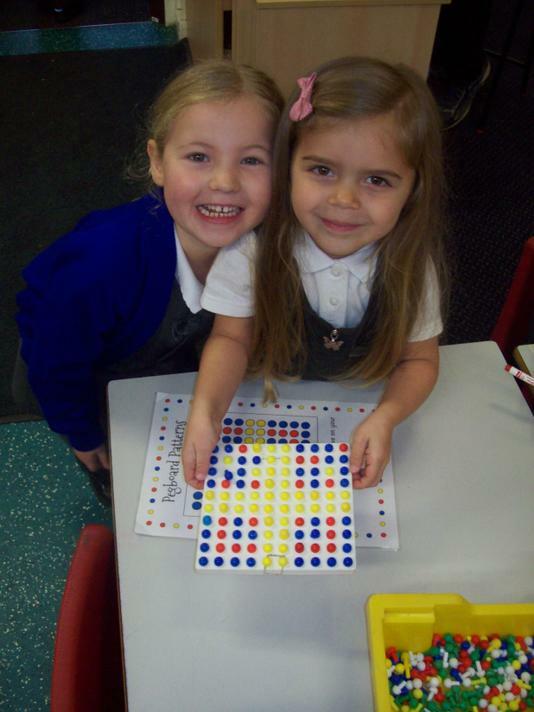 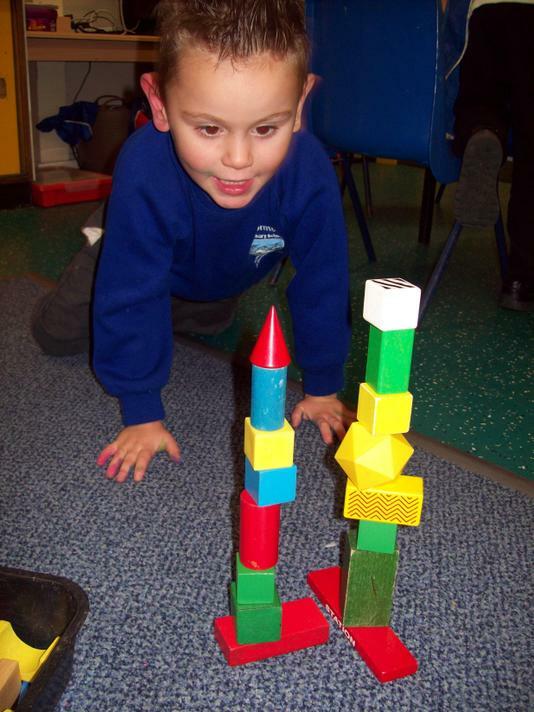 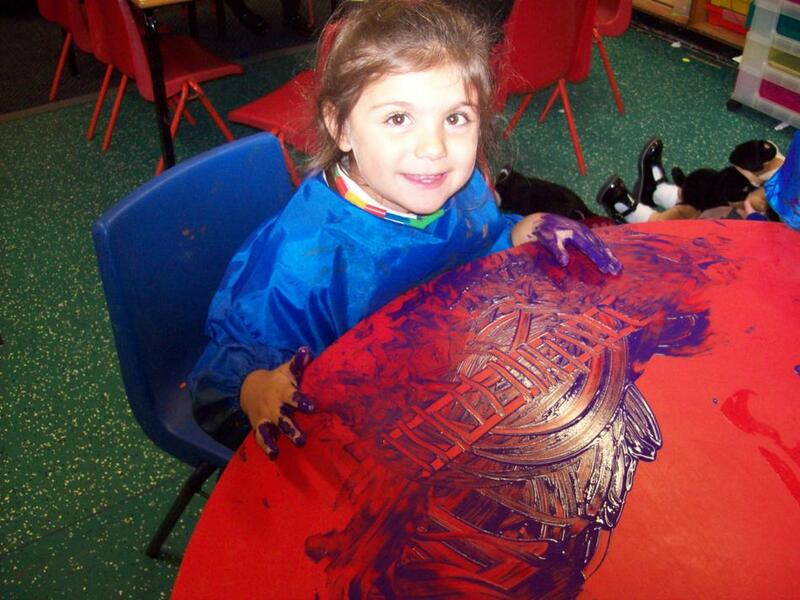 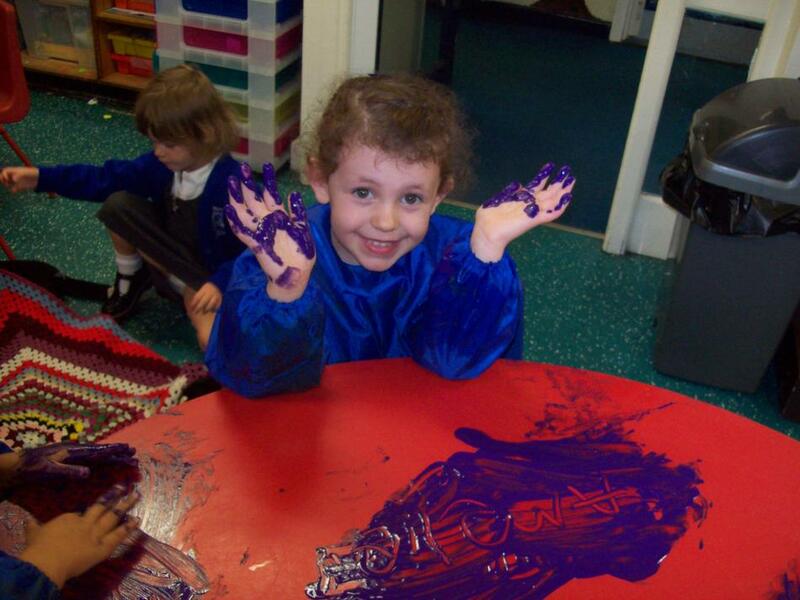 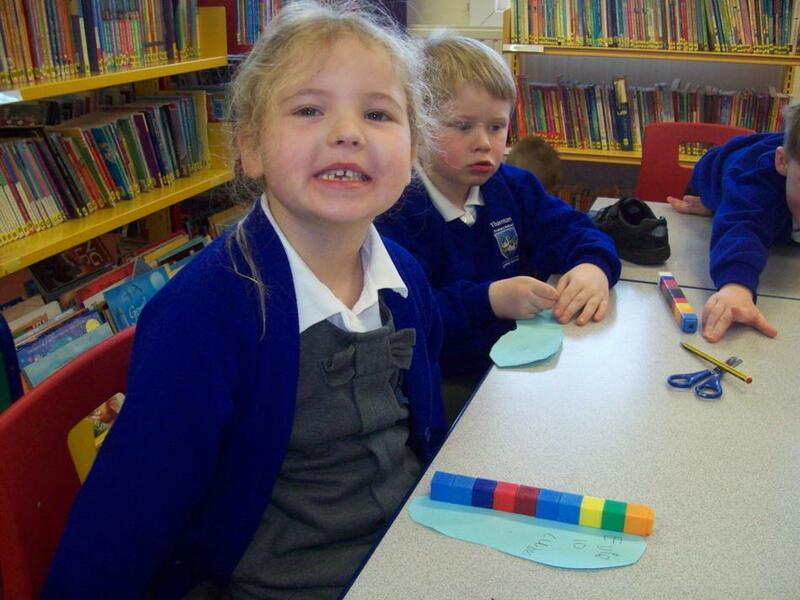 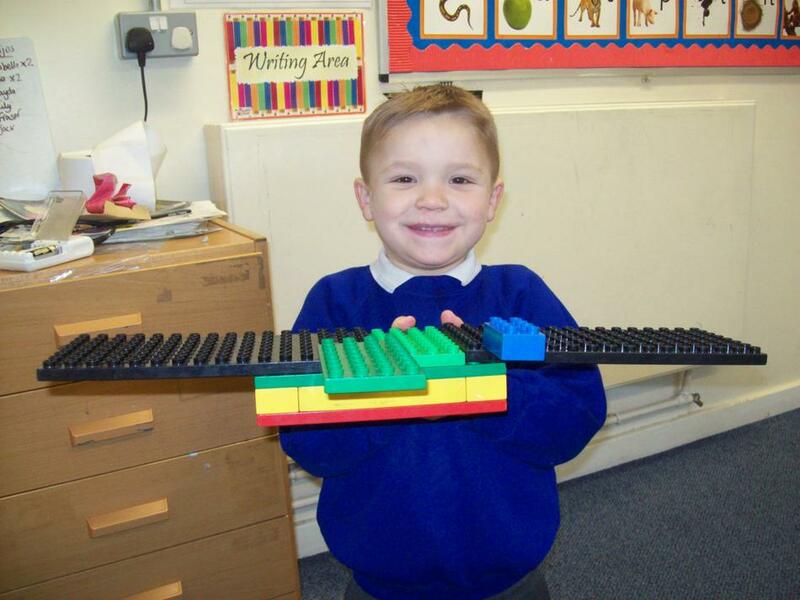 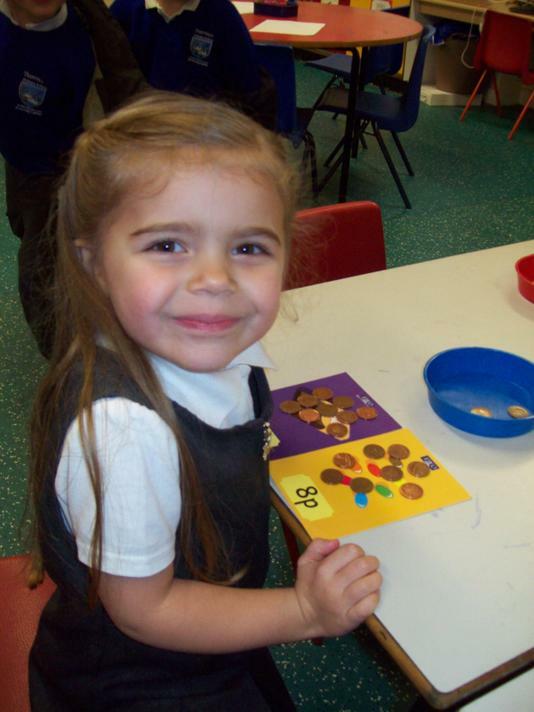 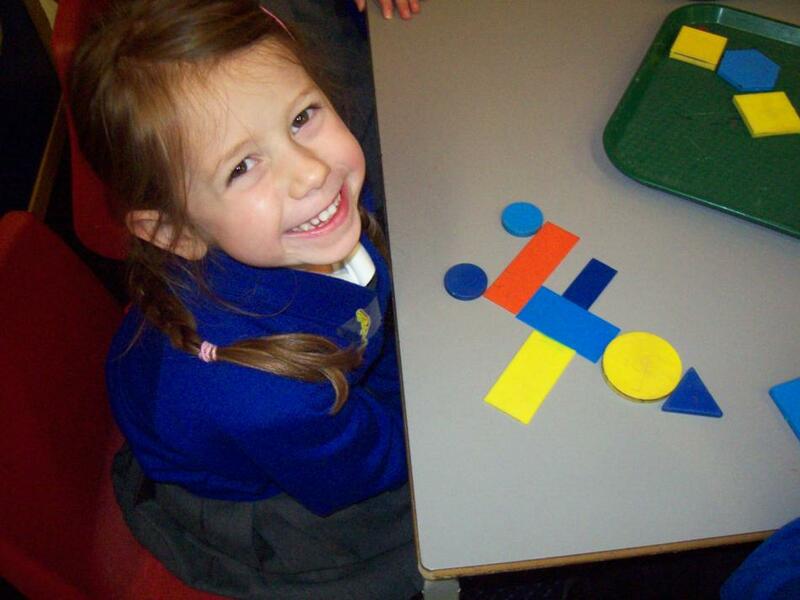 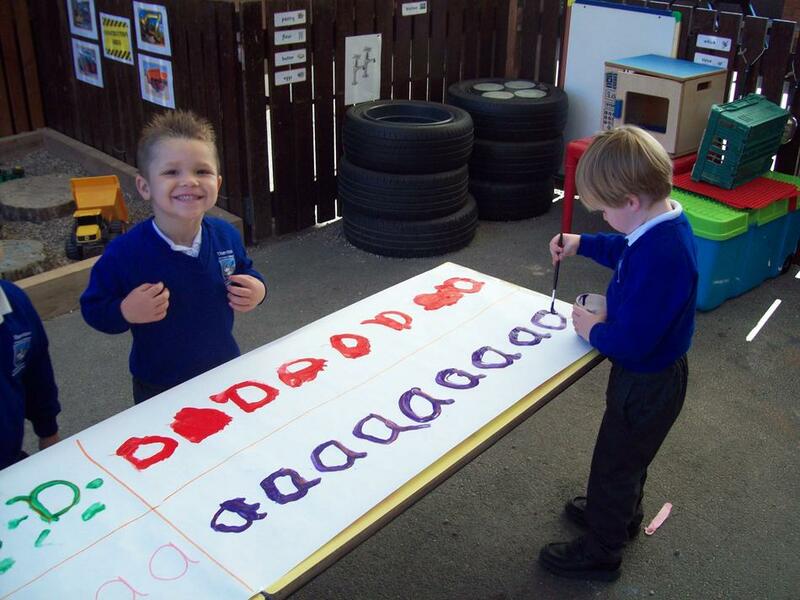 The children are eager to learn new things and have had fun developing their Maths skills through printing, construction, role play and games. 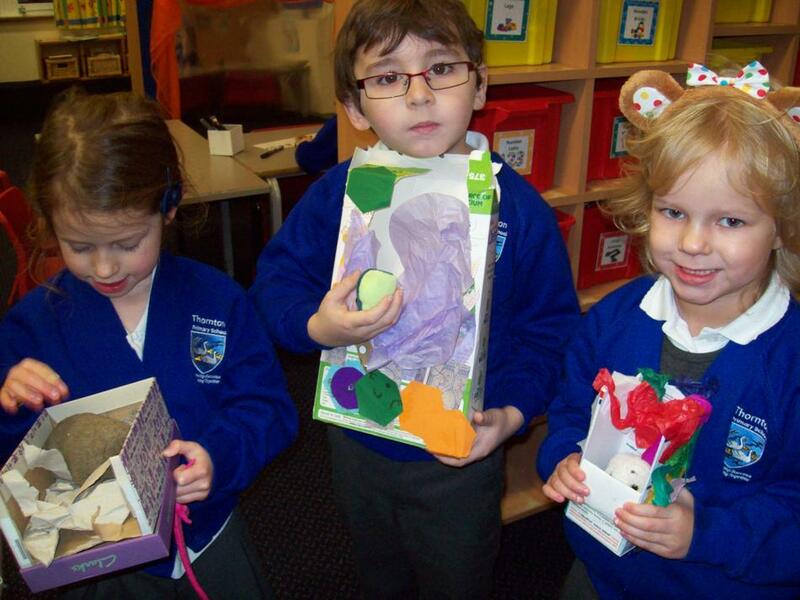 In topic work we have explored different Autumn festivals and how they are celebrated, Christmas and the Nativity being the finale. 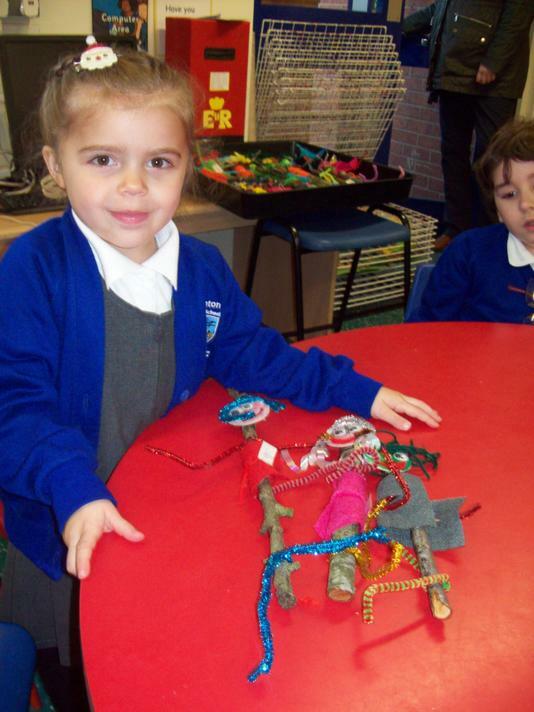 Our walks to the woods have proved very popular and everyone enjoyed den building, making camp fires, (without the fire) and just being in the great outdoors. 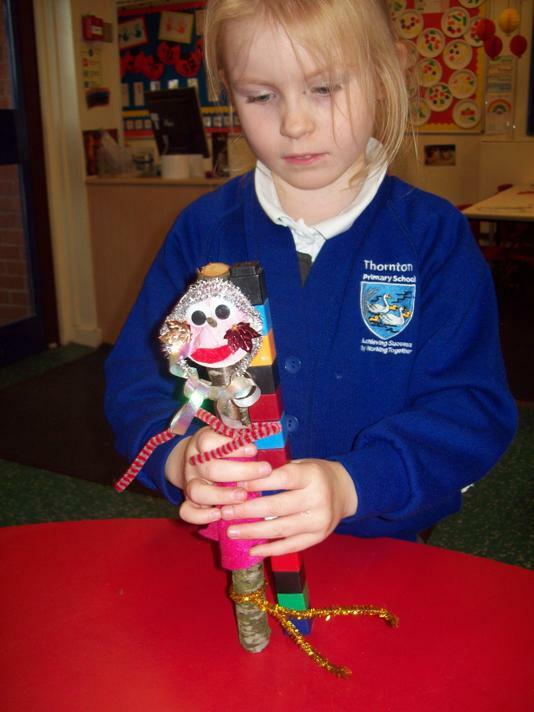 We have an artistic crew this year and sellotape, glue and shiny bits are essential. 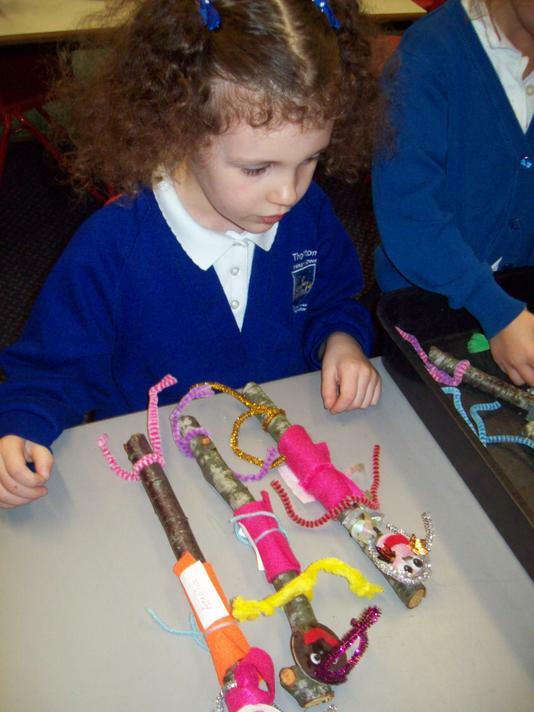 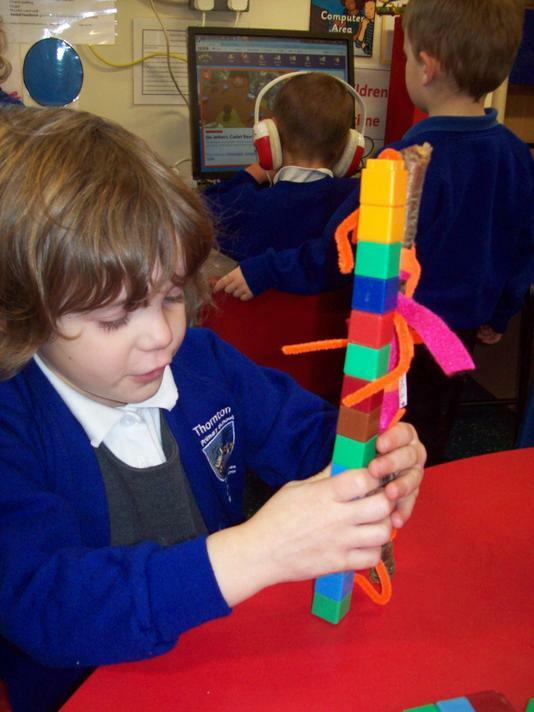 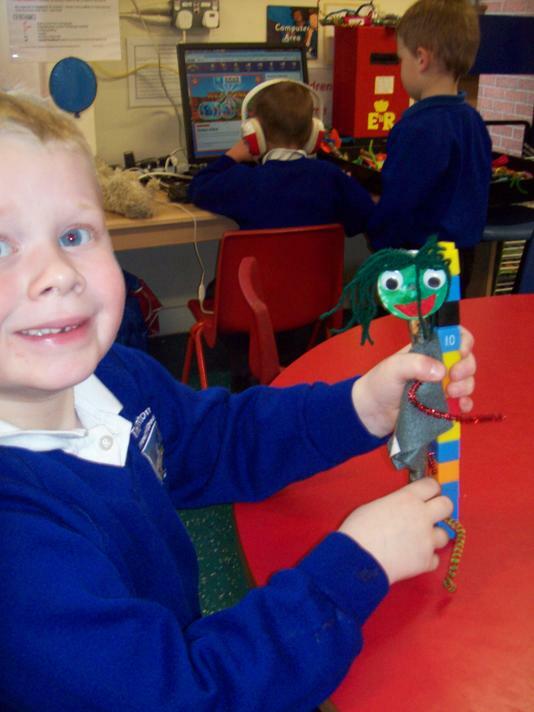 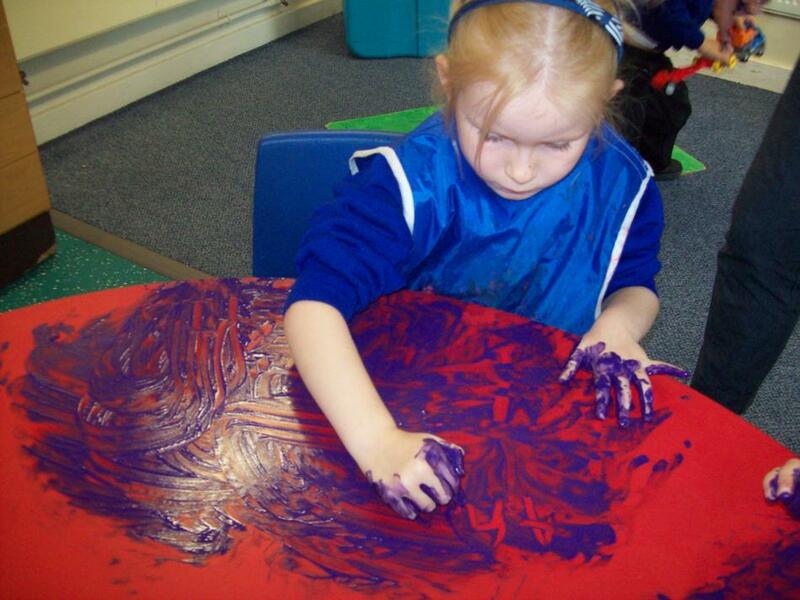 The creative area is always busy and their imagination never ceases to amaze us. 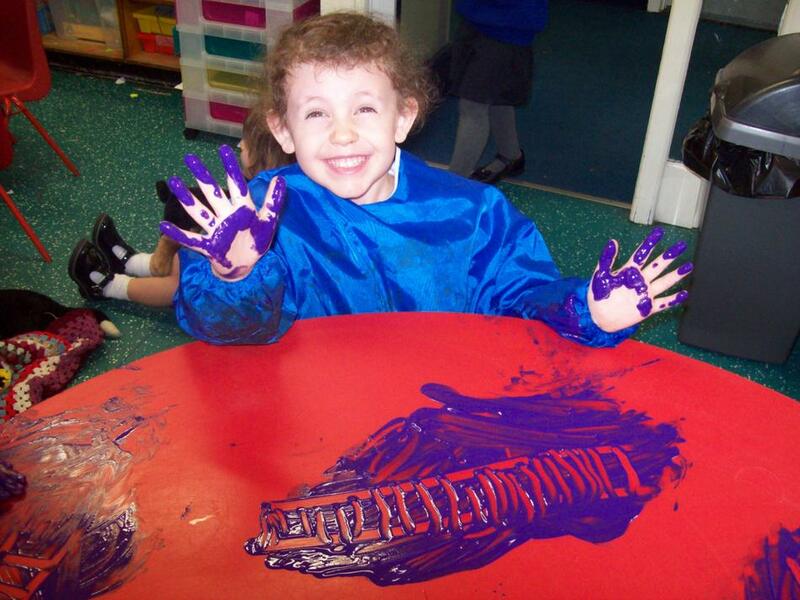 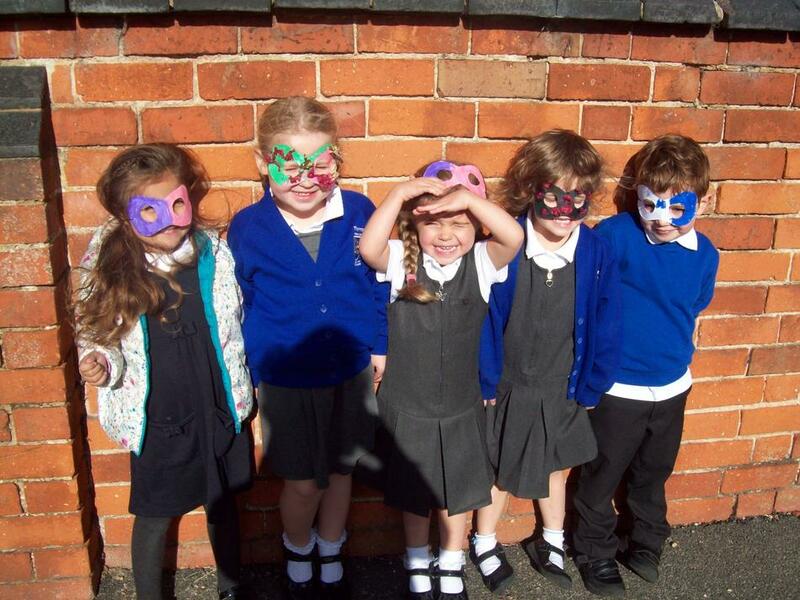 We have had a fun packed Autumn Term and are looking forward to what the Spring term will bring. 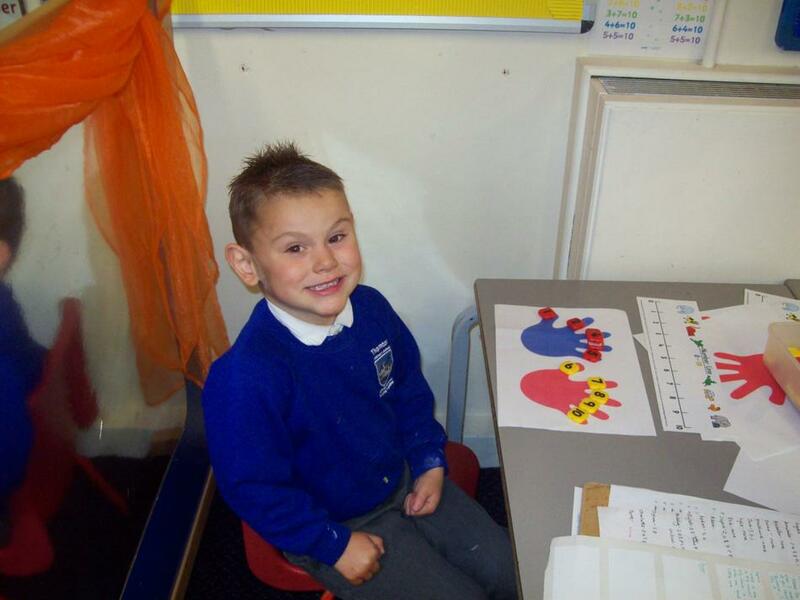 We have started big school! 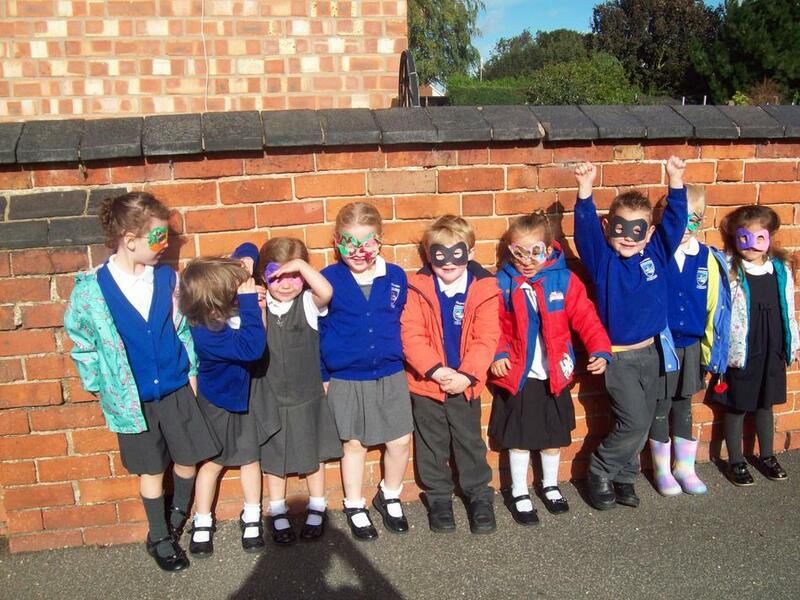 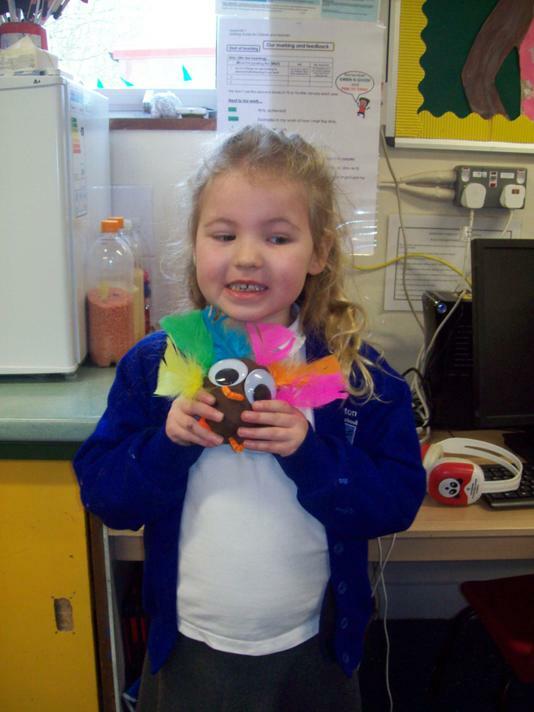 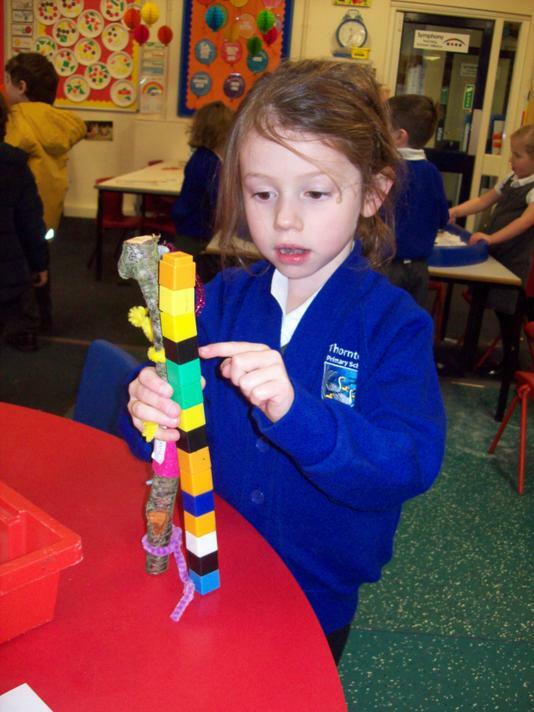 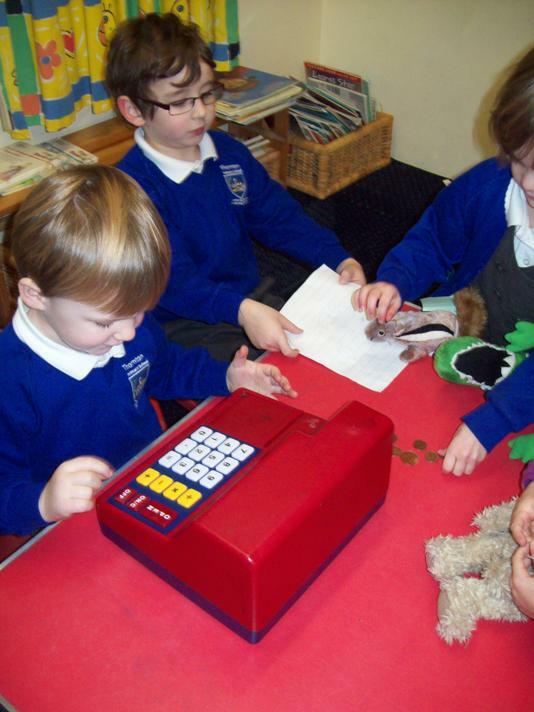 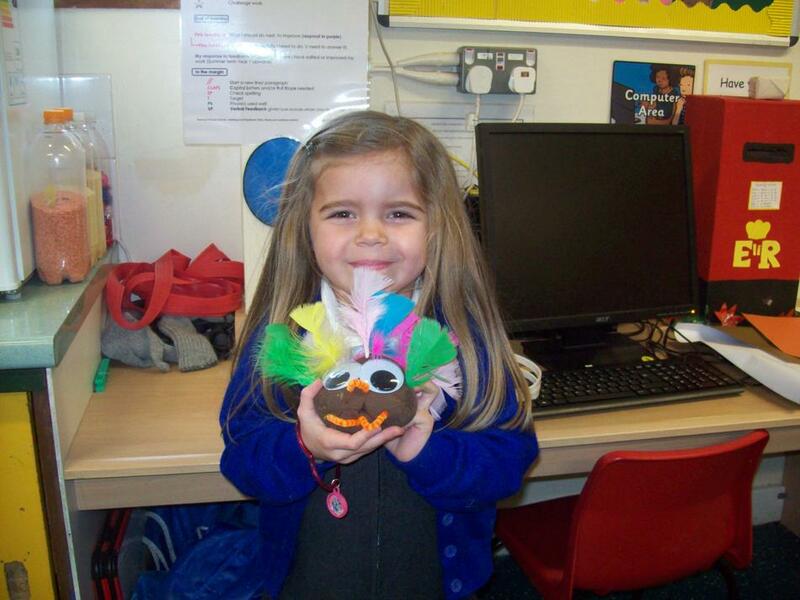 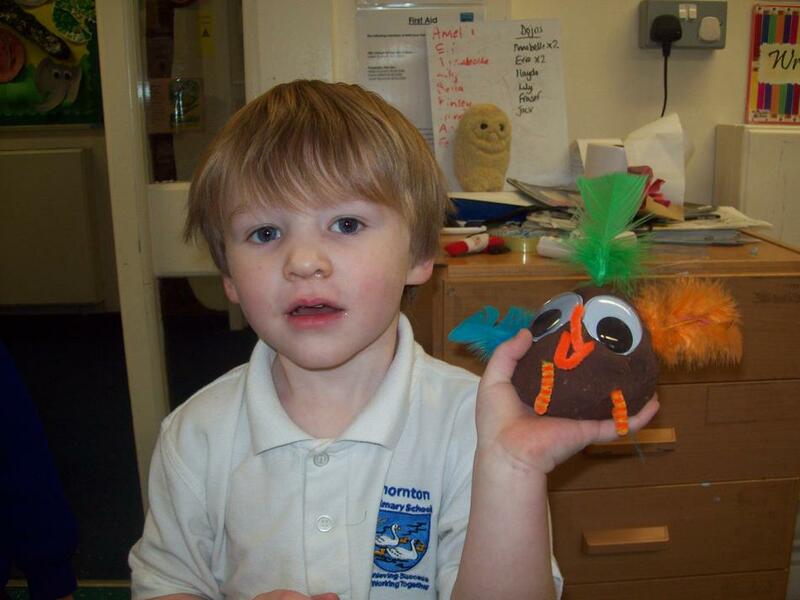 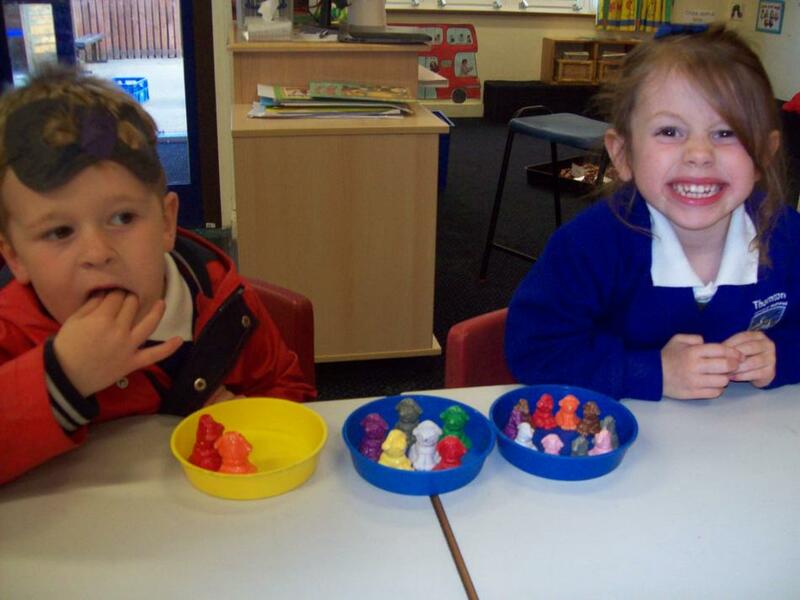 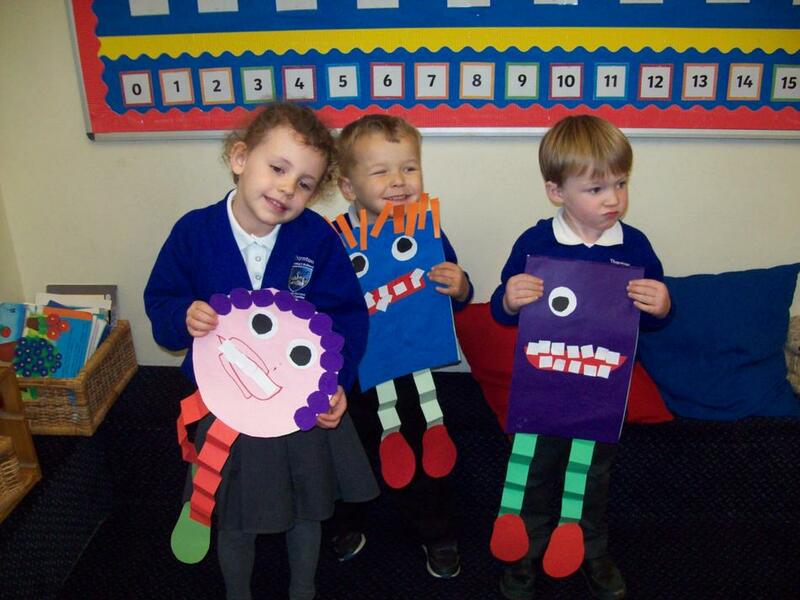 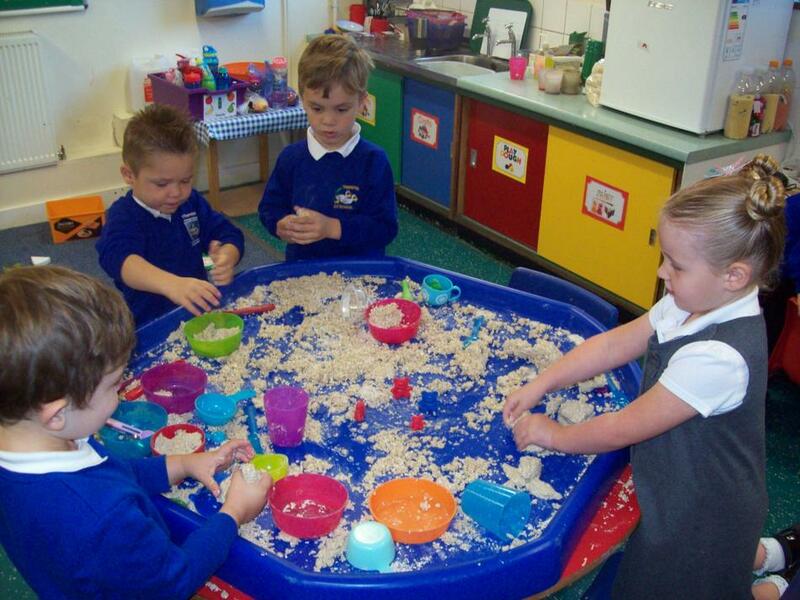 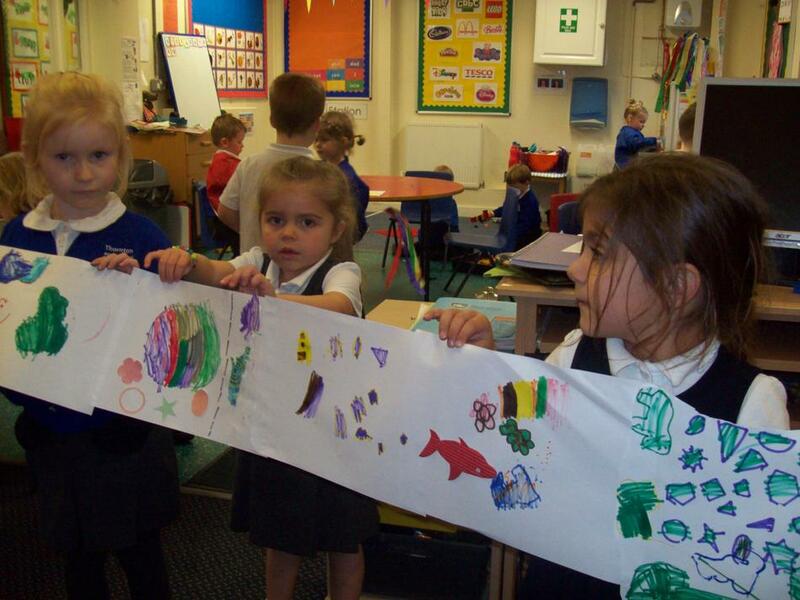 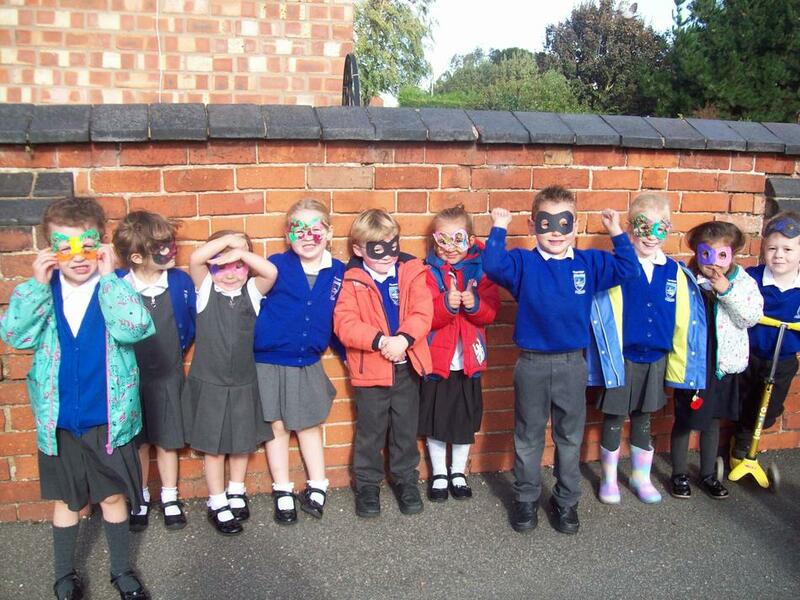 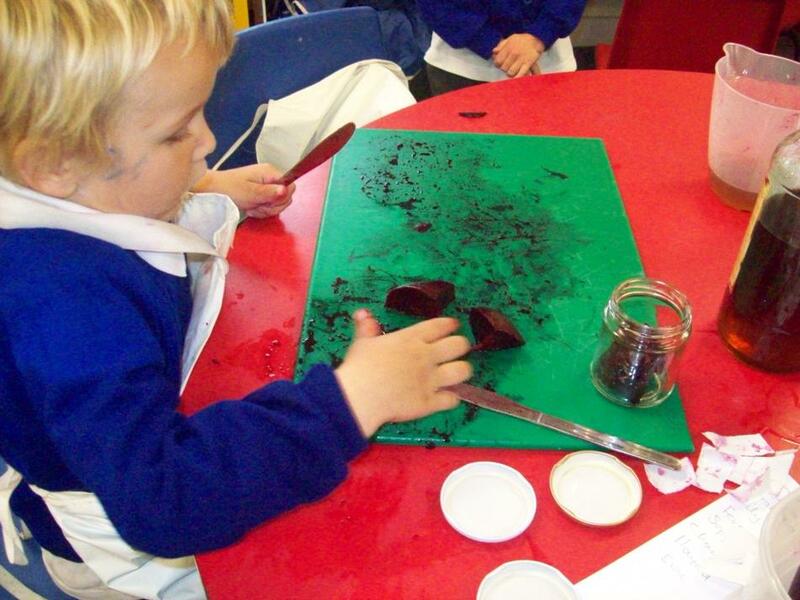 What a busy half term it has been for us in Reception Class. 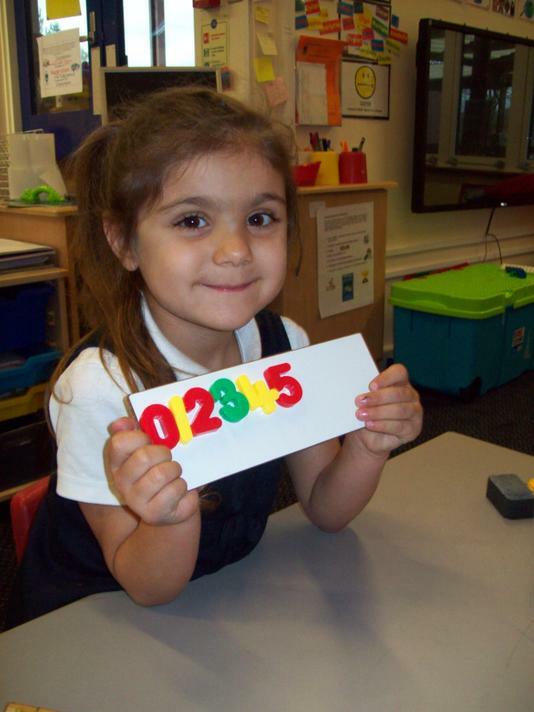 Starting 'big school' as the children often say, brings with it lots of new routines, faces and names to become familiar with. 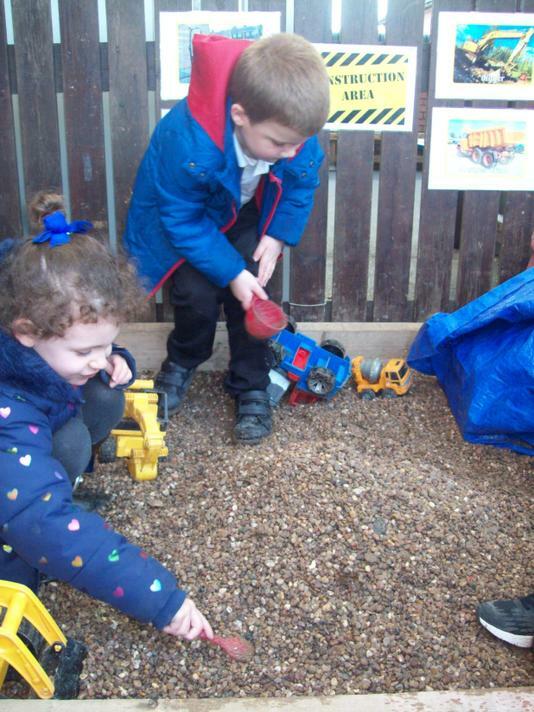 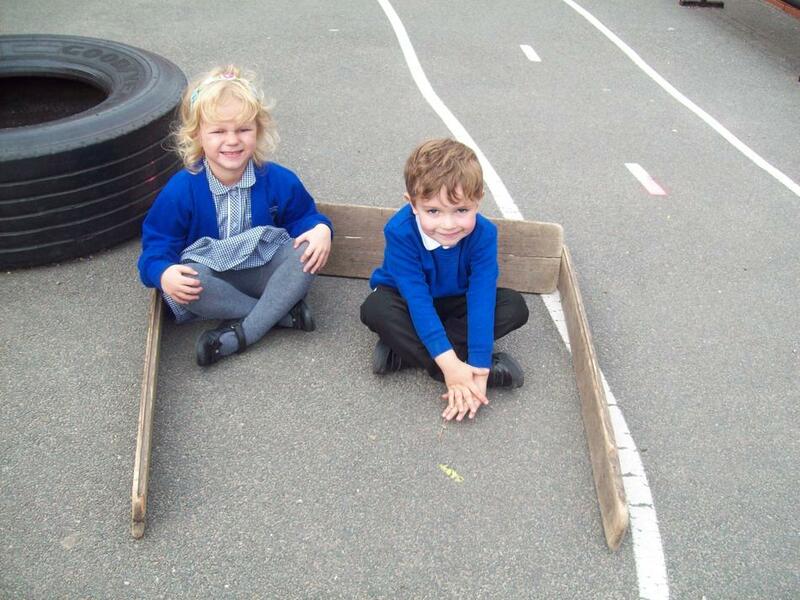 The weather has been good so this has given us the opportunity to make full use of the outdoor learning environment. 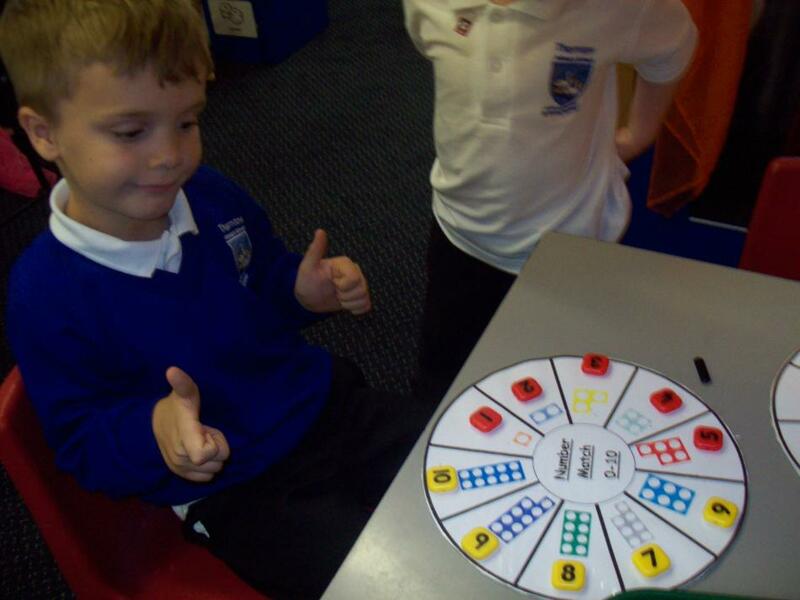 We now have daily, active phonics time. 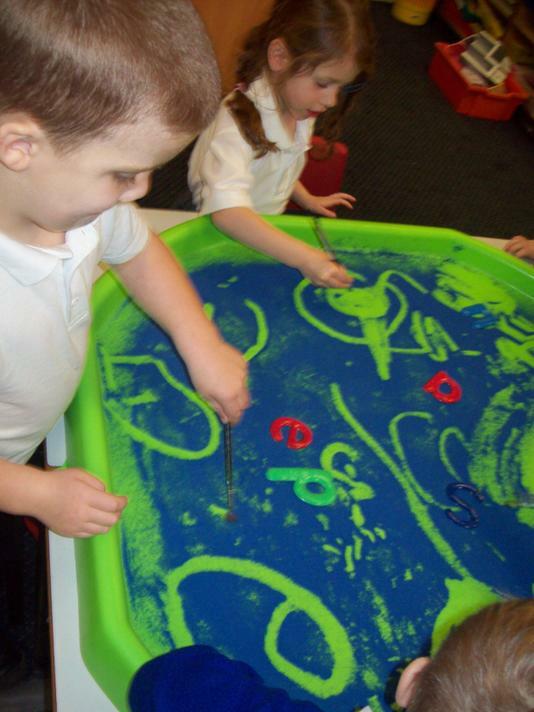 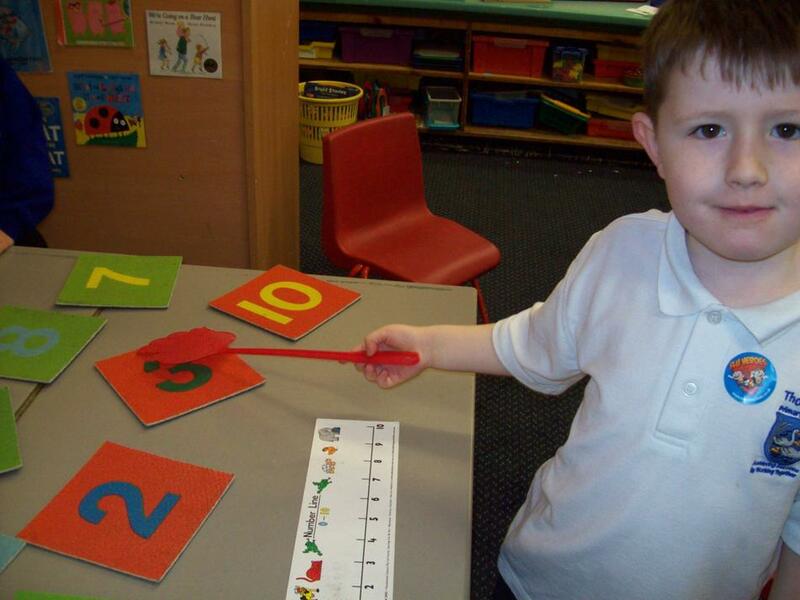 In these sessions we have fun learning the sounds that letters make and experimenting with the skills of writing. 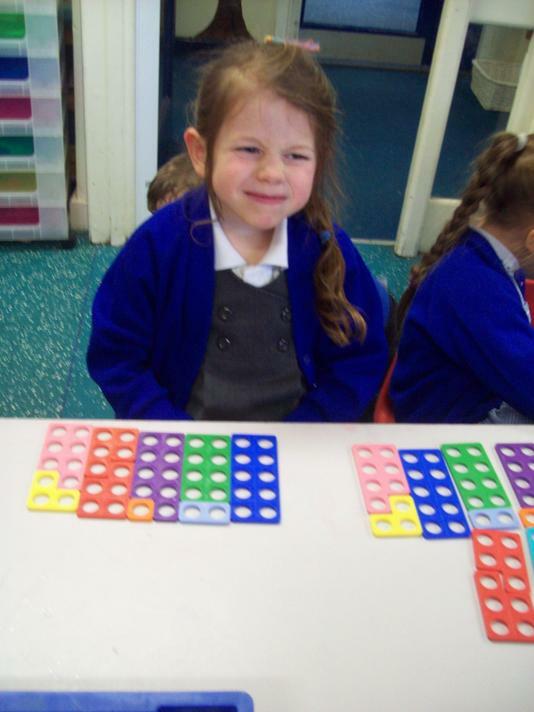 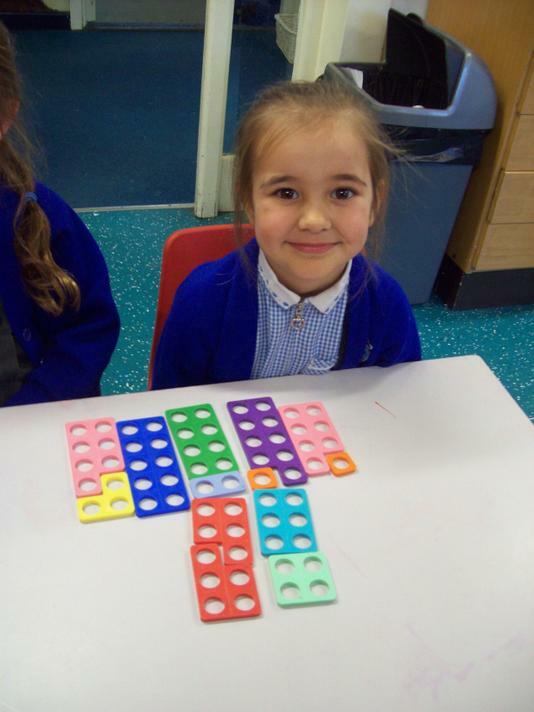 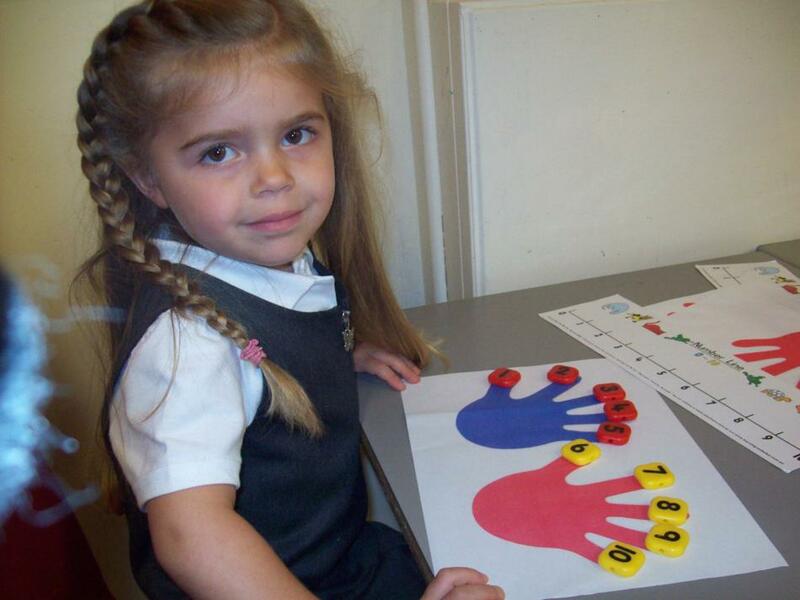 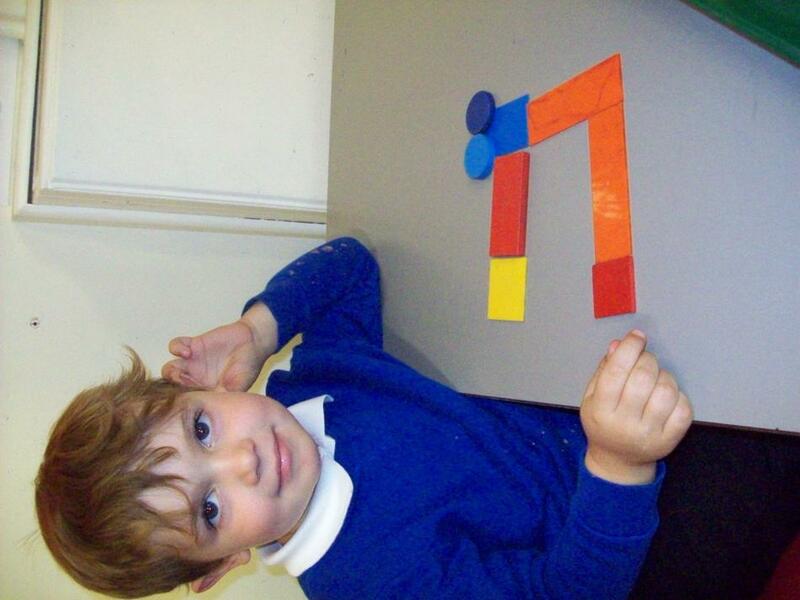 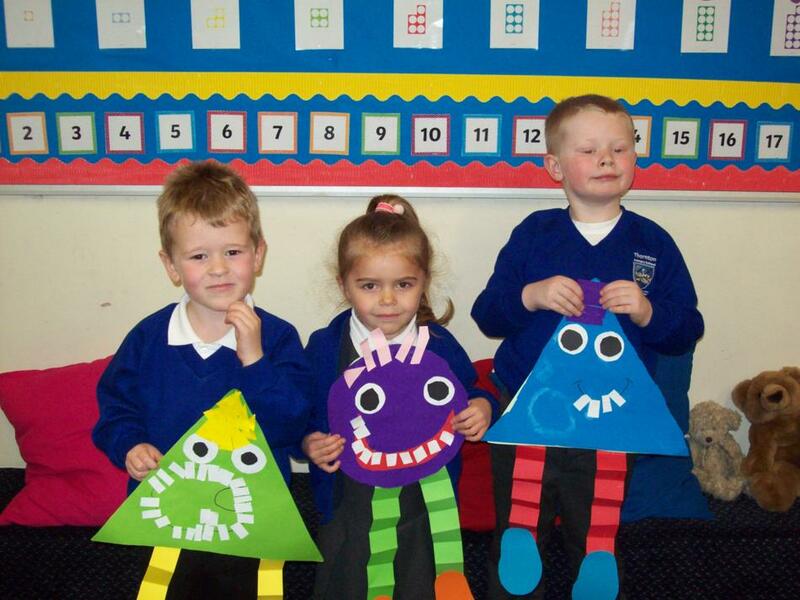 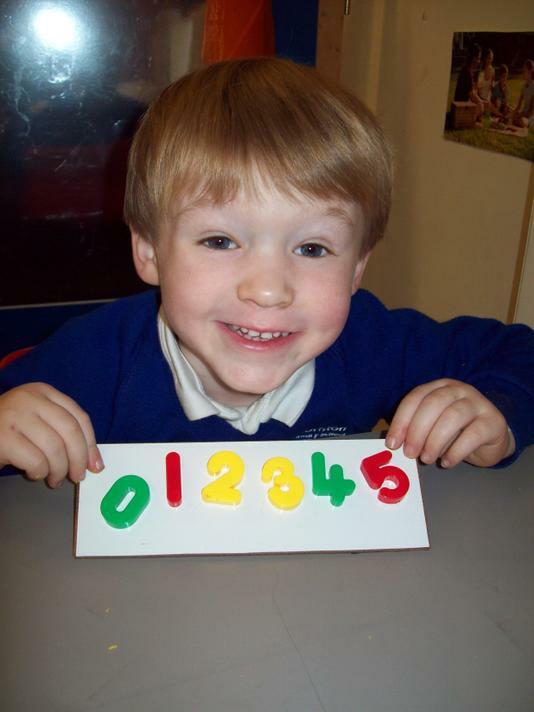 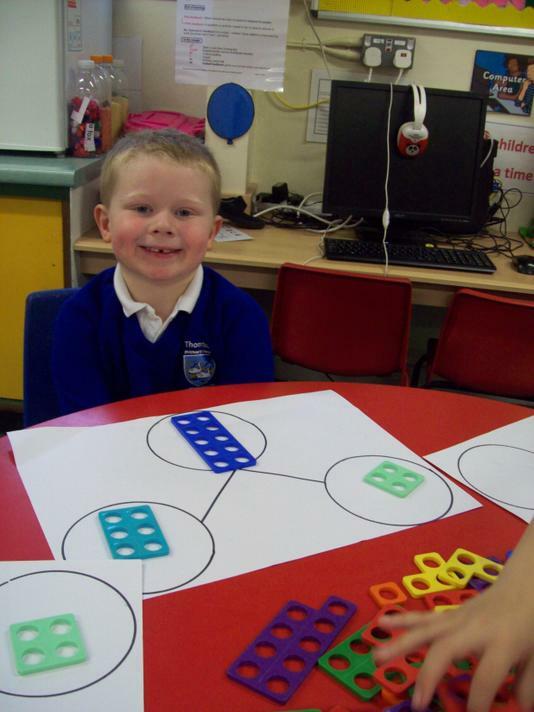 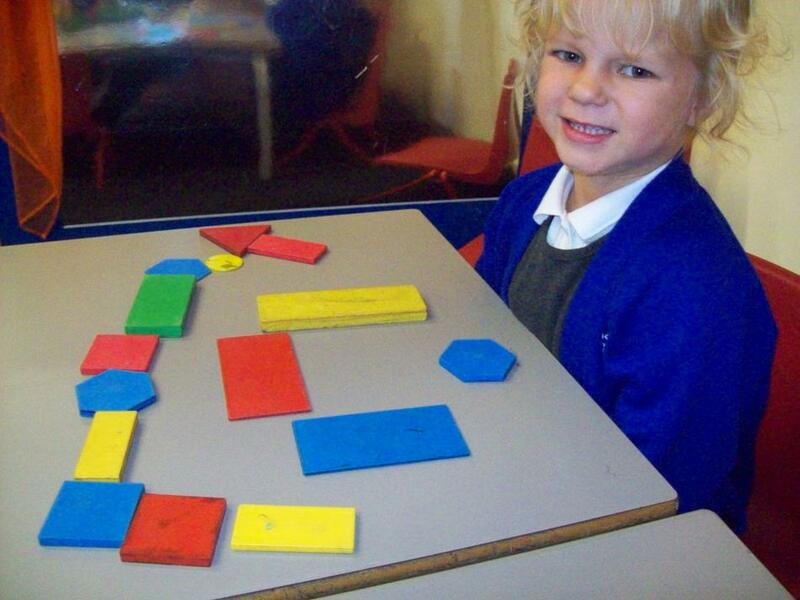 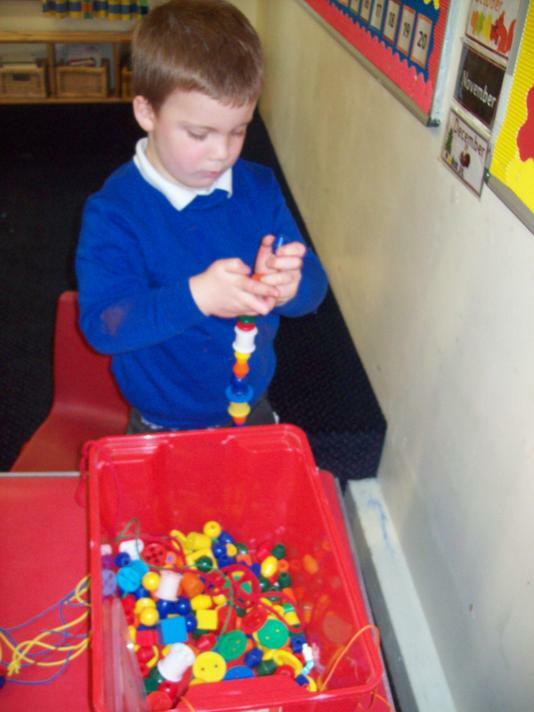 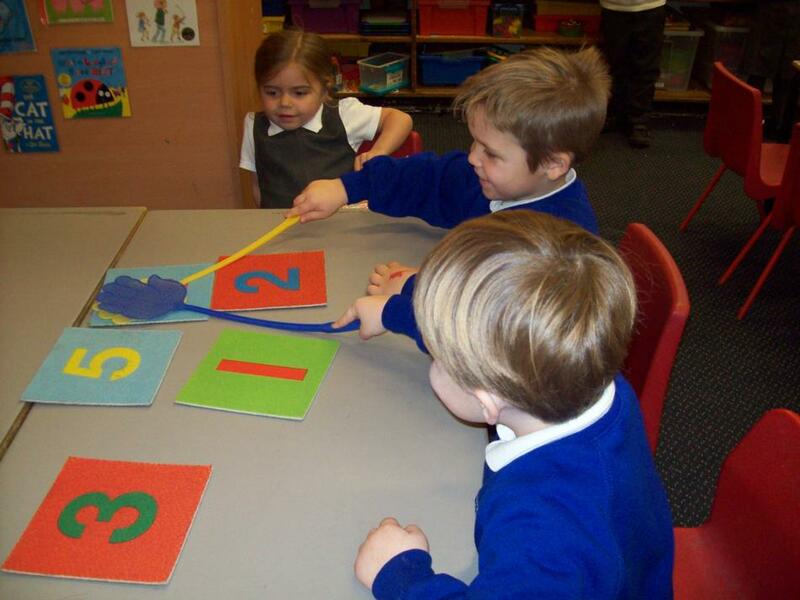 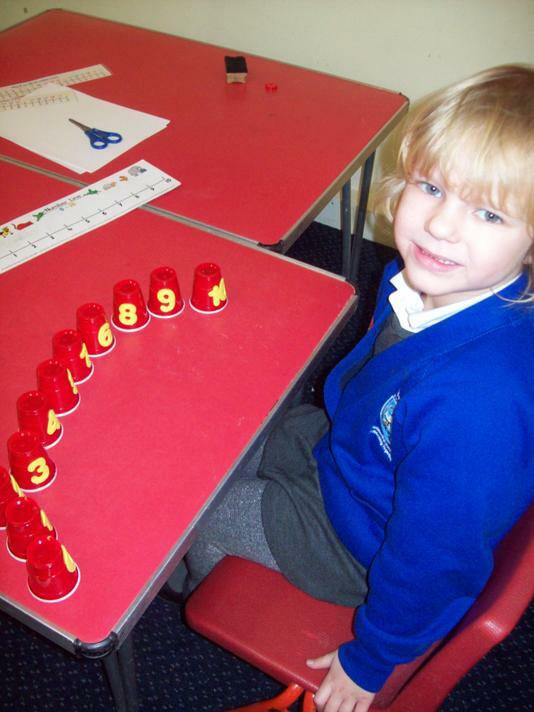 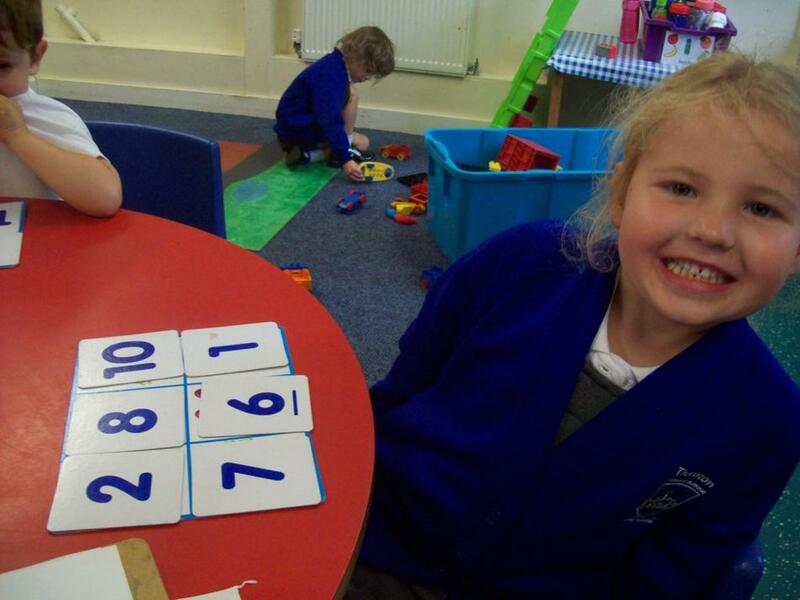 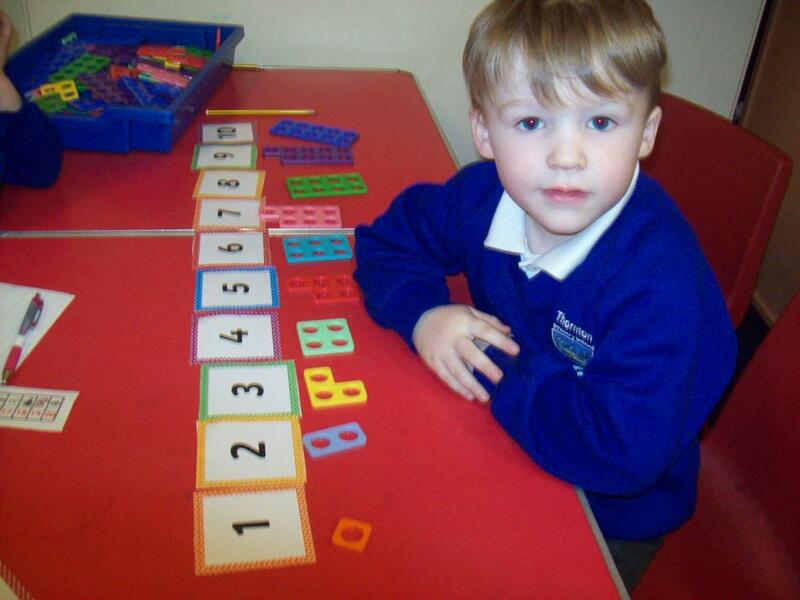 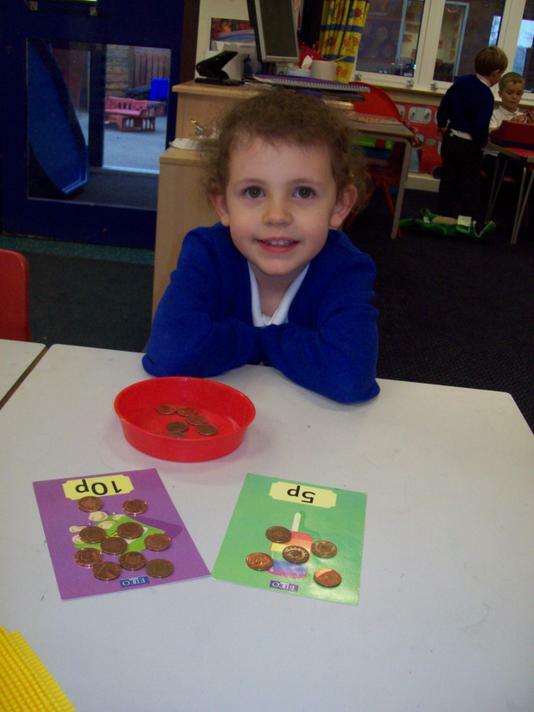 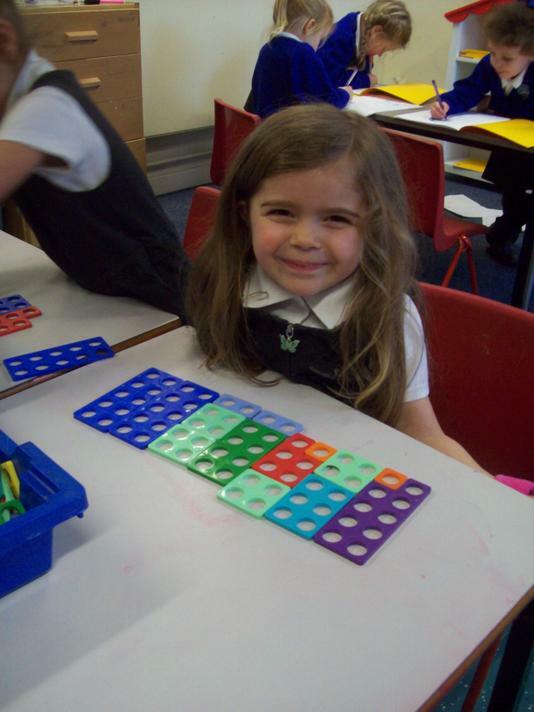 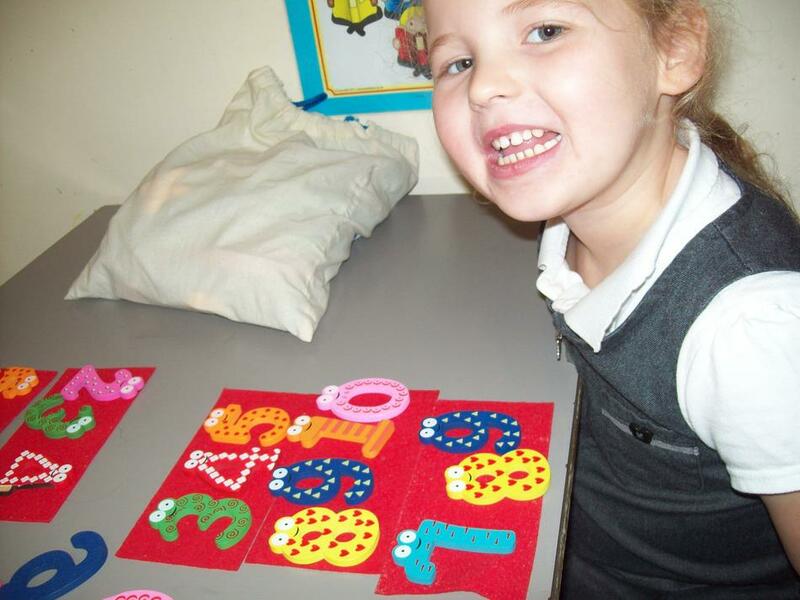 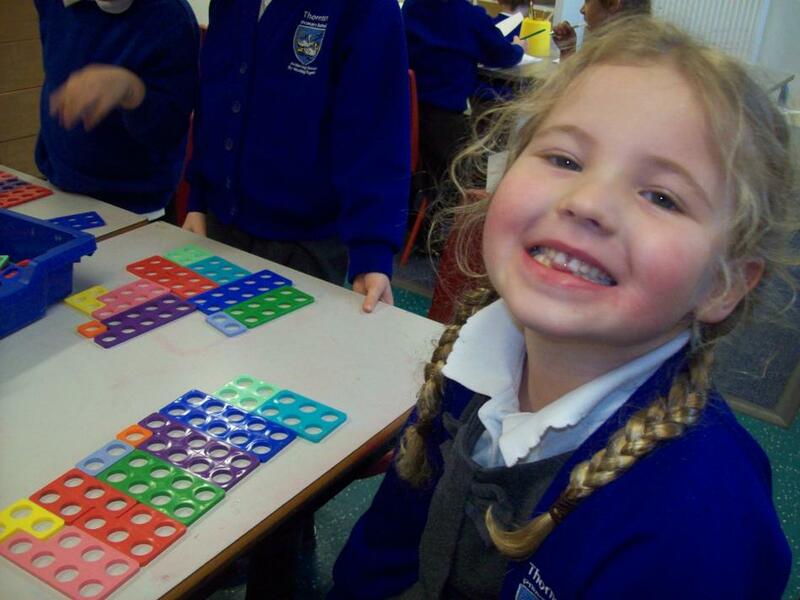 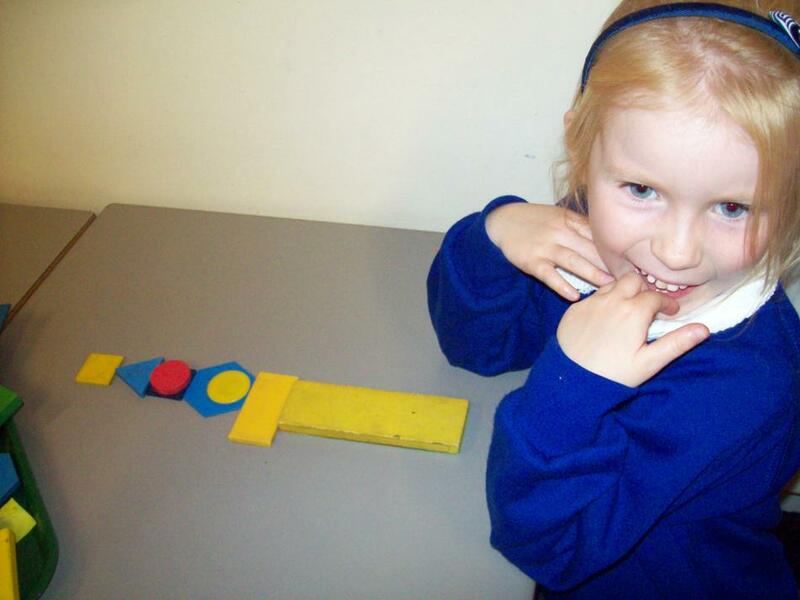 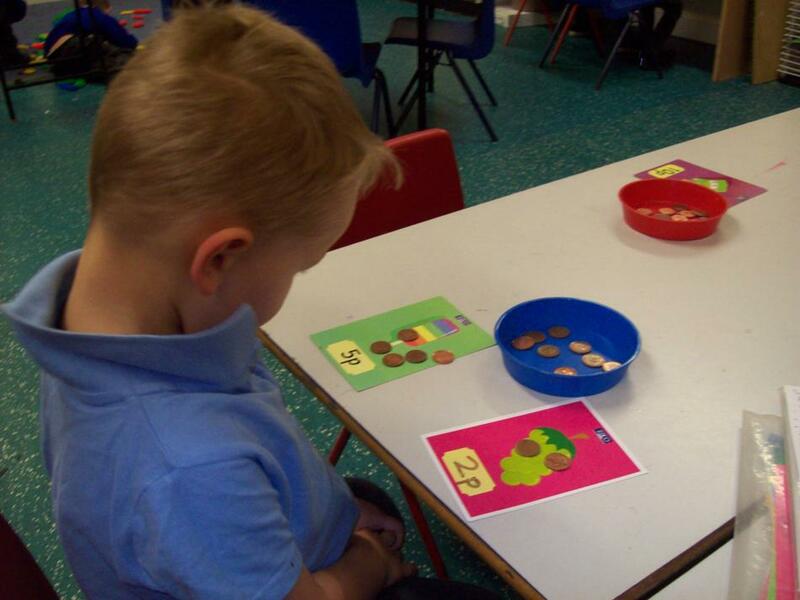 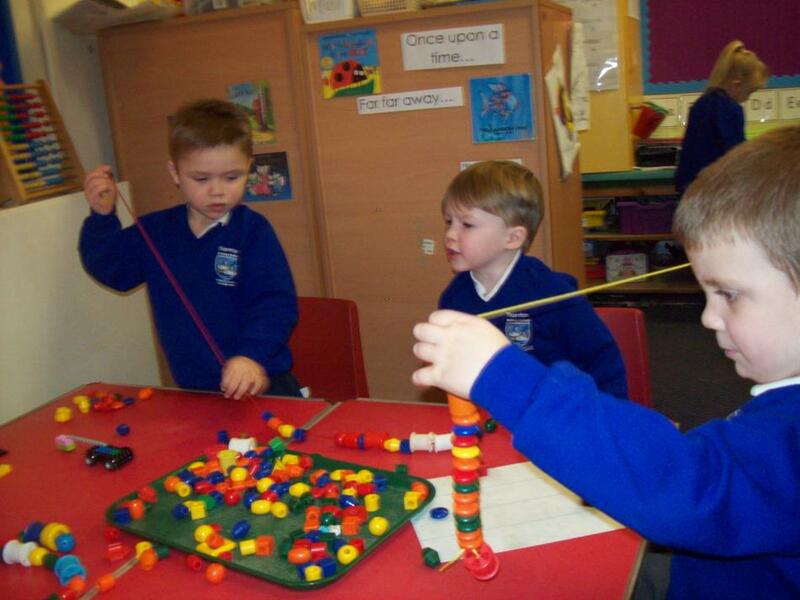 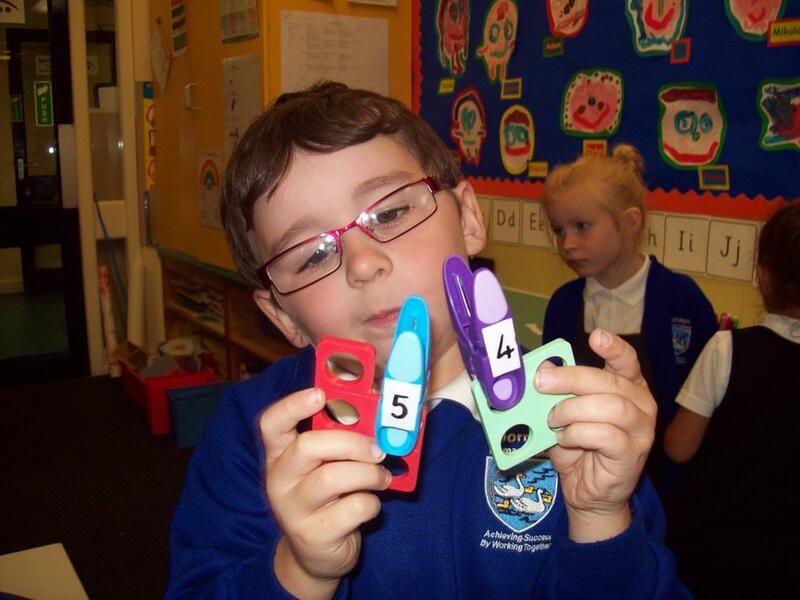 In Maths we have been looking at number recognition, shape and size. 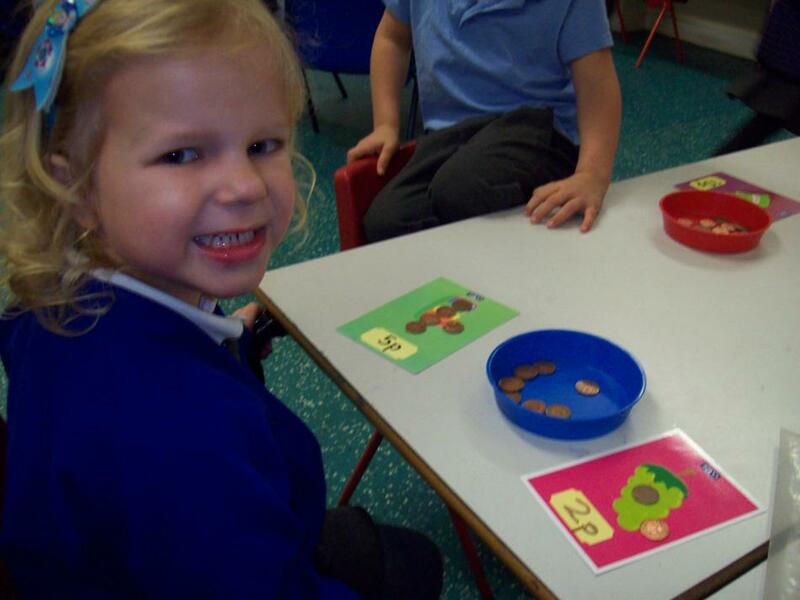 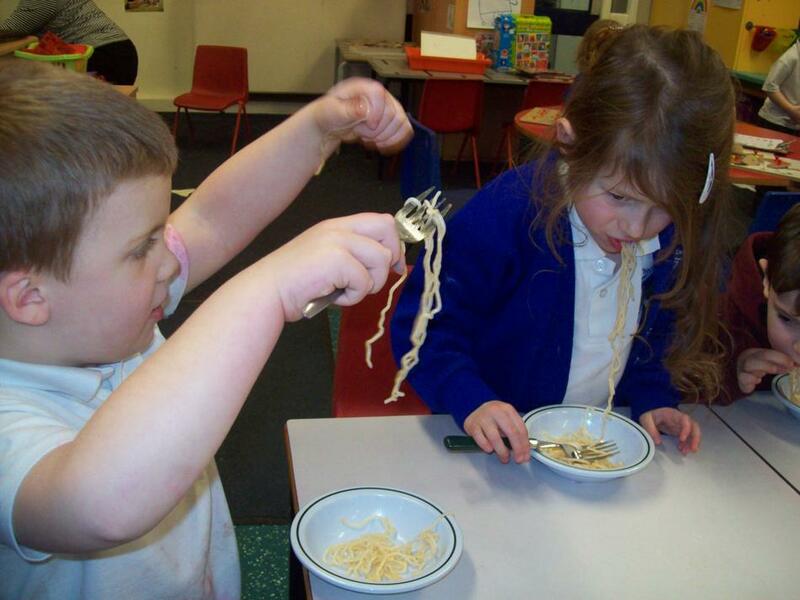 Goldilocks and the Three Bears were very helpful for many of these activities!